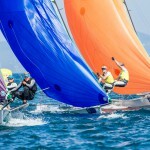 The Delta Lloyd regatta has a very strong history with the Olympic classes, and it’s known for it’s progressive attitude. 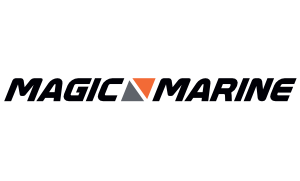 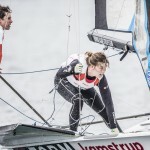 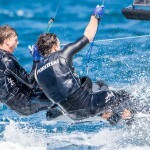 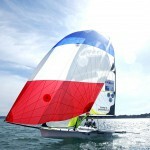 For years it has done a great job with sponsors, formats, and being a sailor and public oriented regatta. 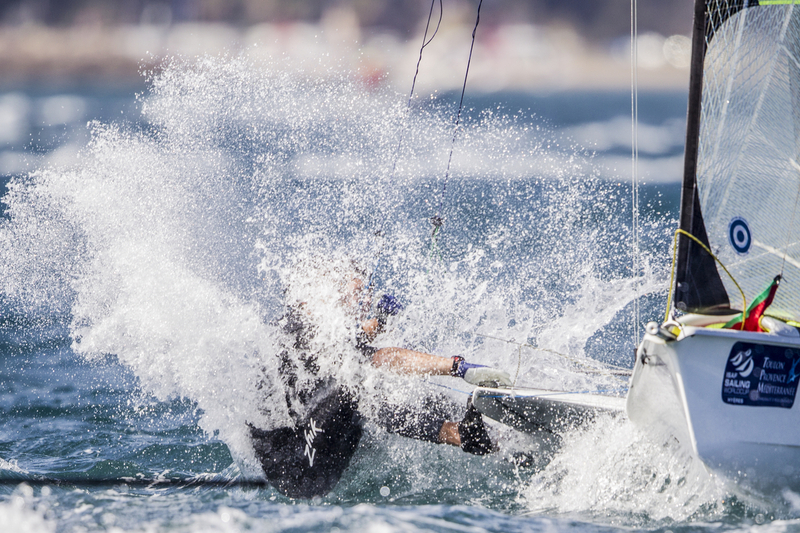 In 2015 there are 57 49ers and 31 49erFX competing. 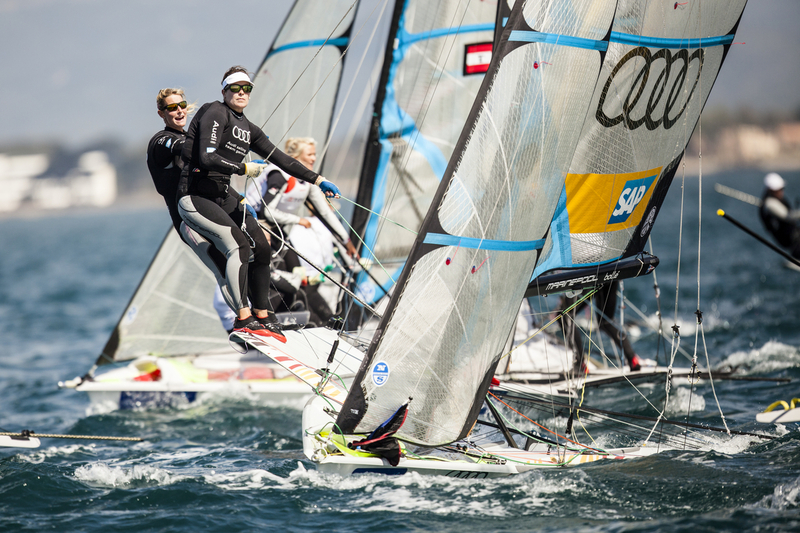 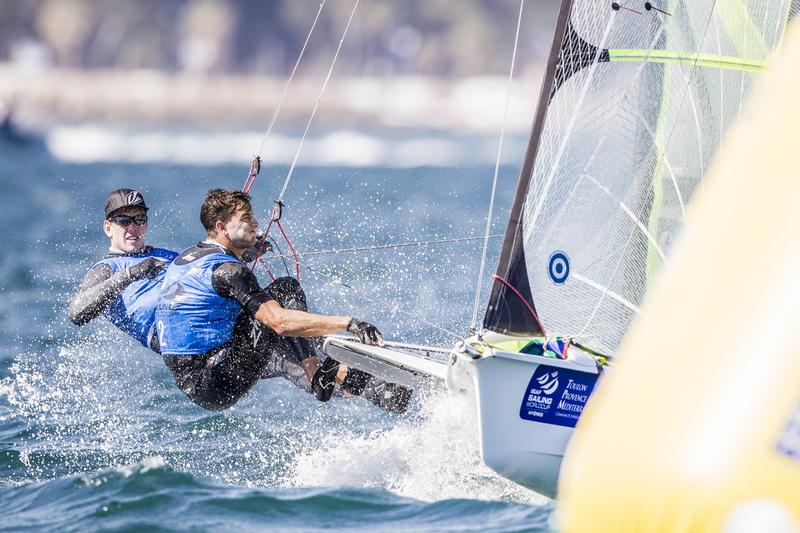 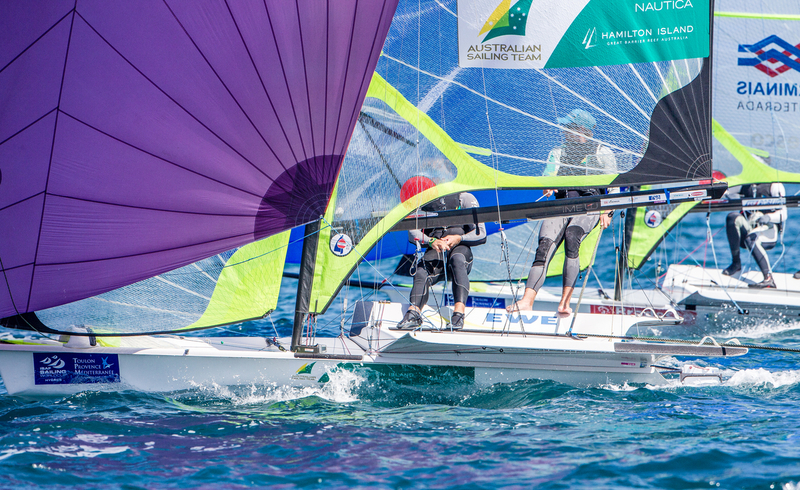 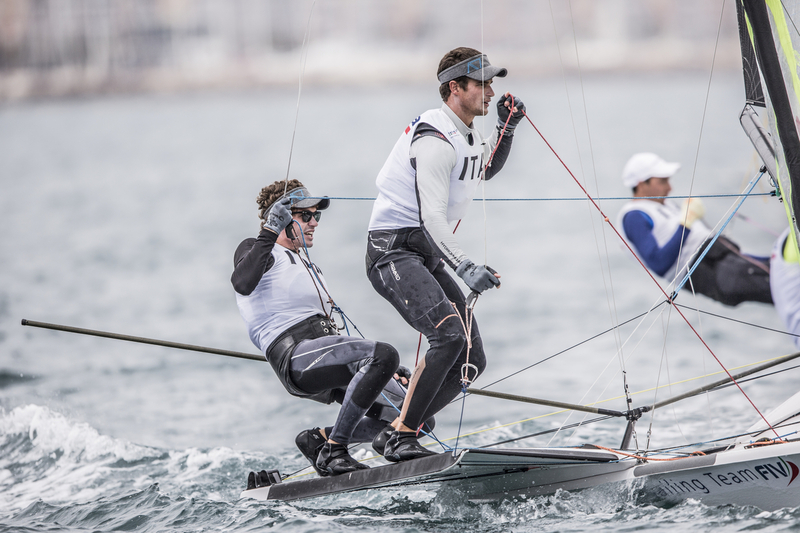 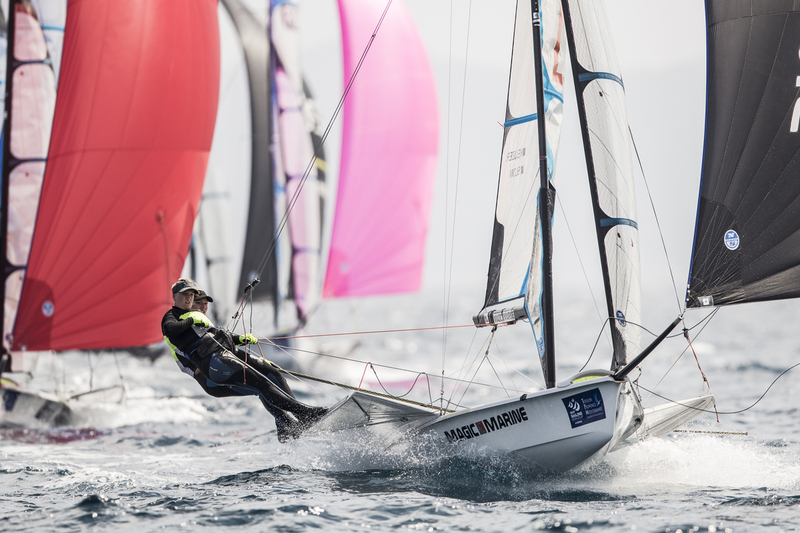 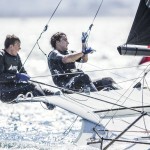 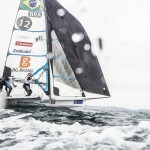 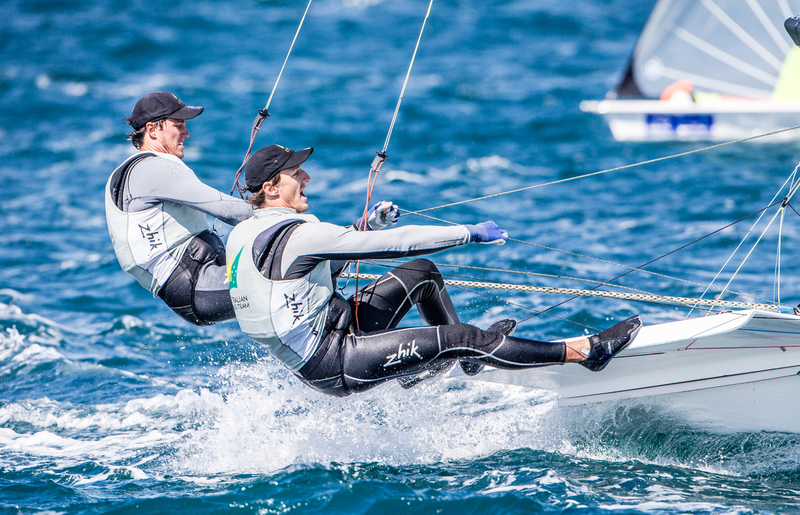 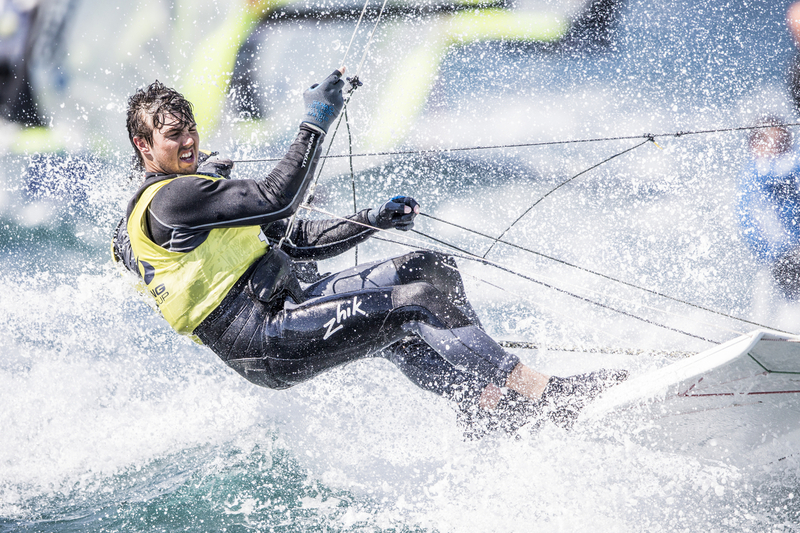 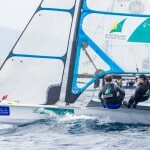 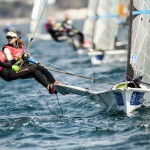 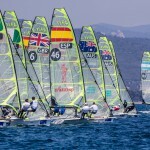 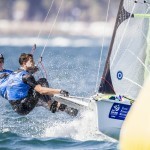 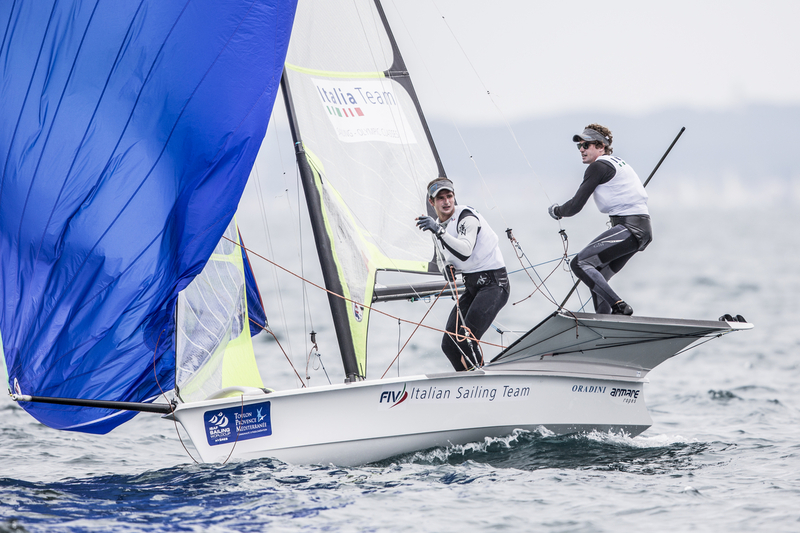 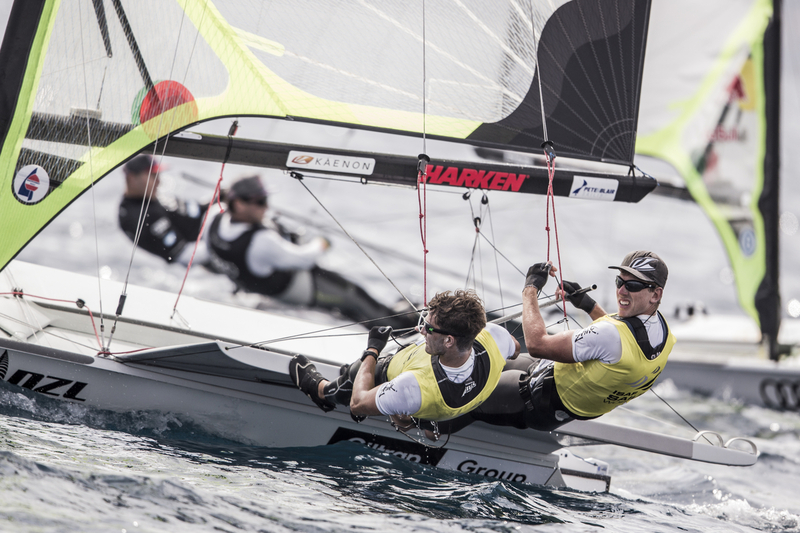 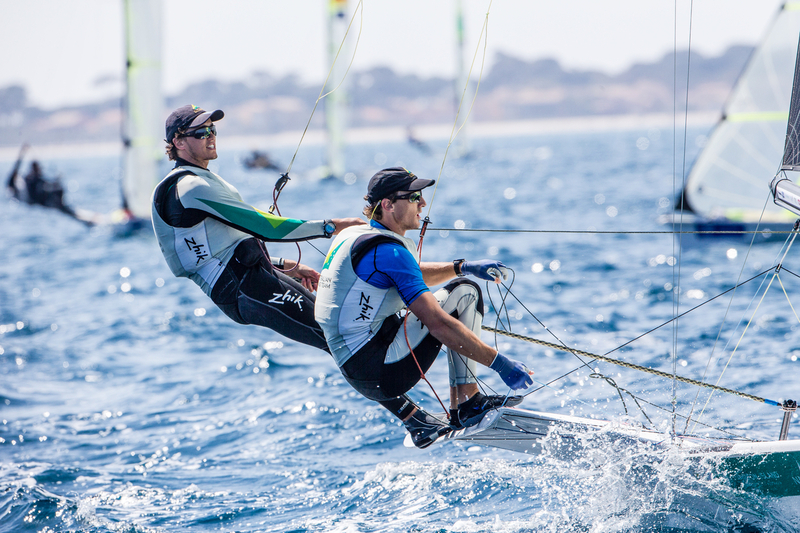 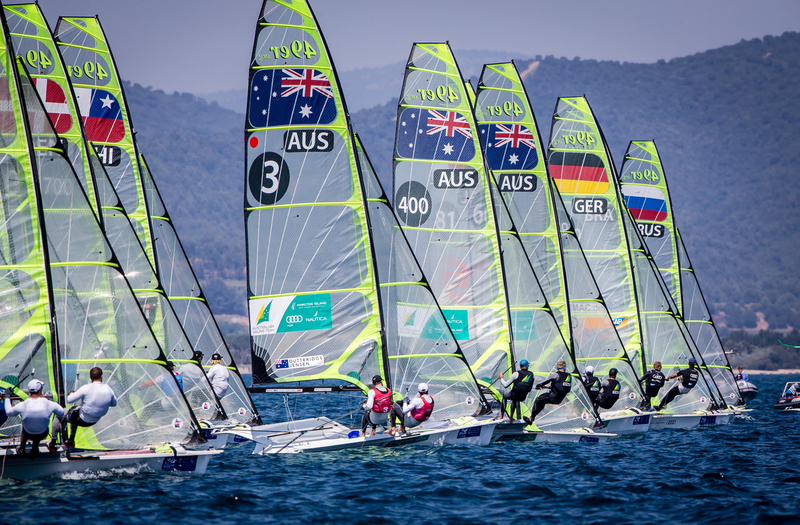 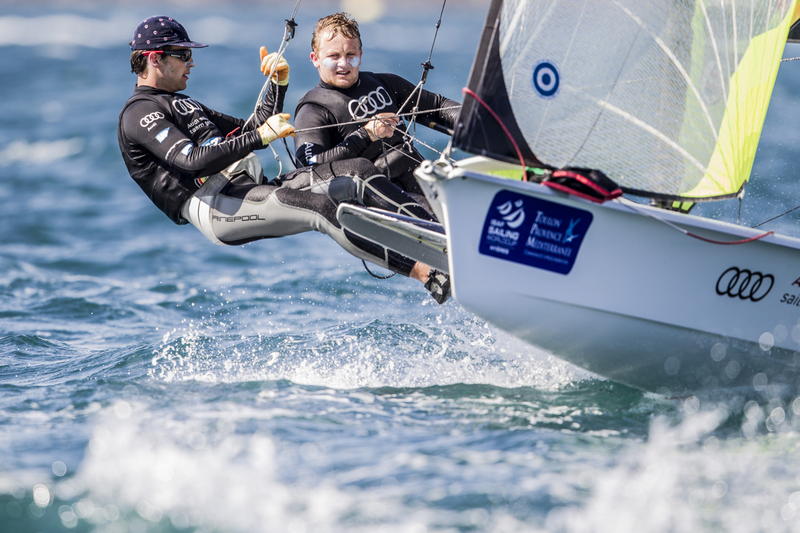 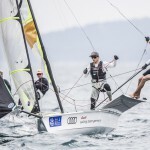 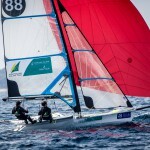 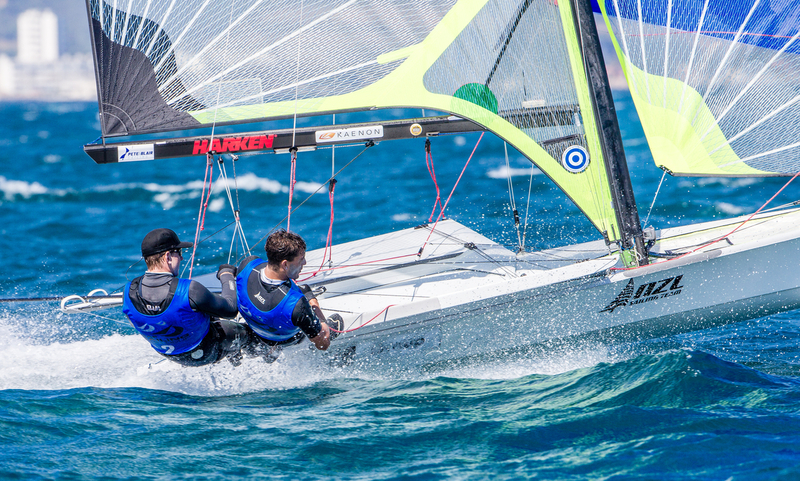 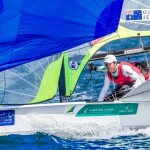 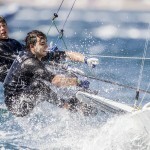 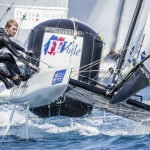 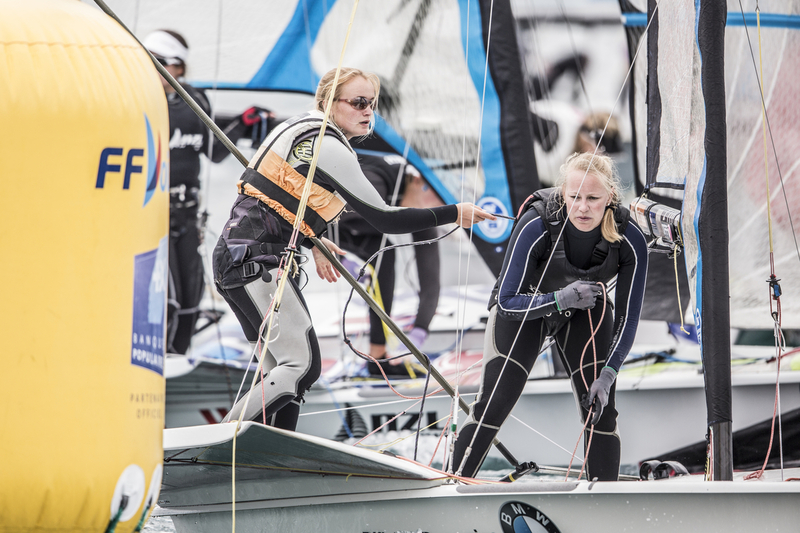 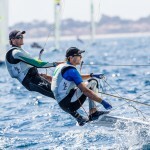 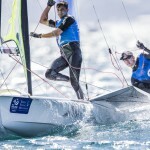 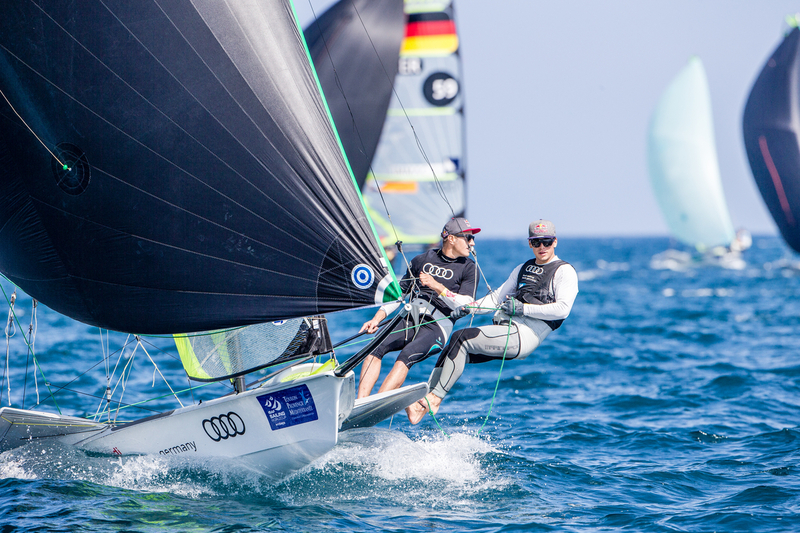 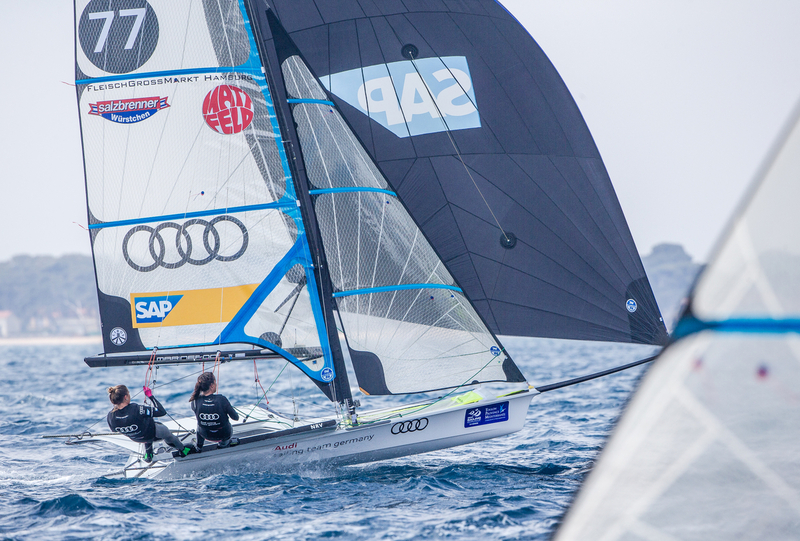 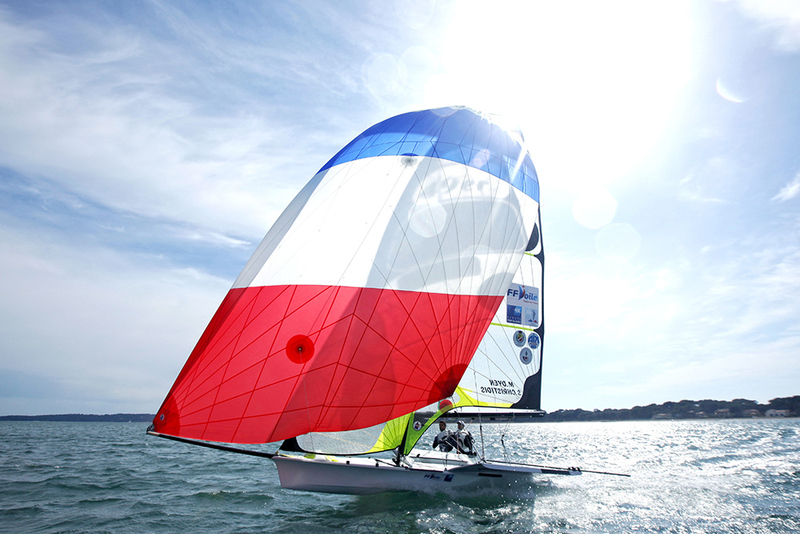 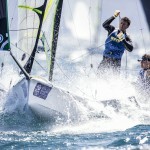 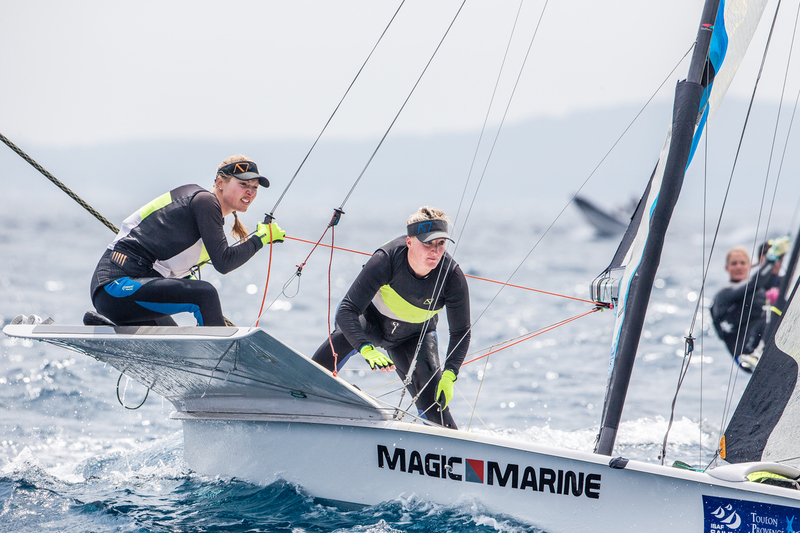 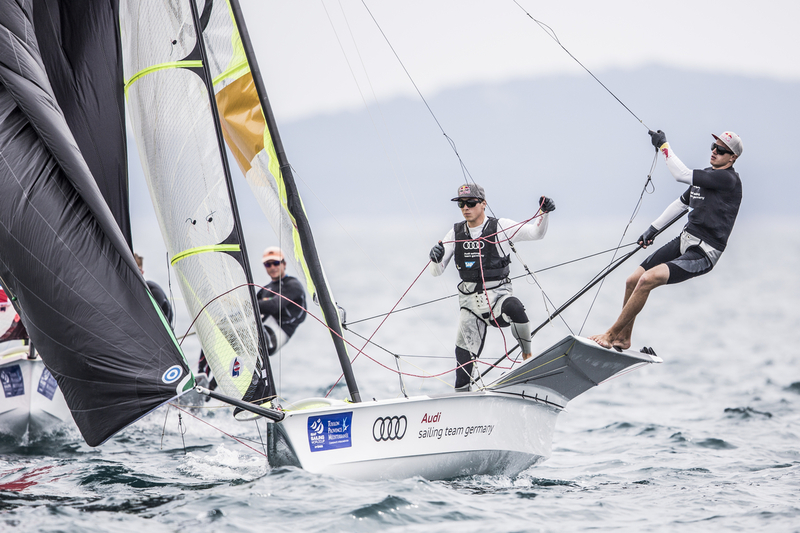 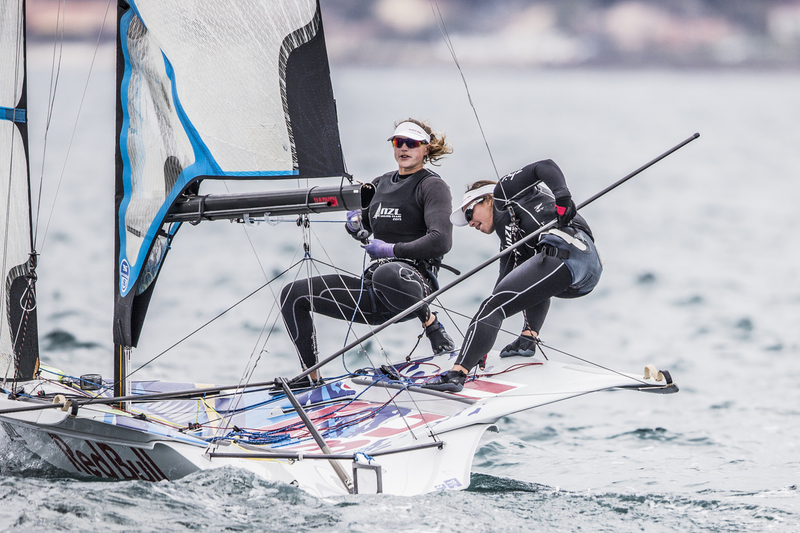 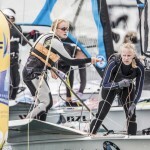 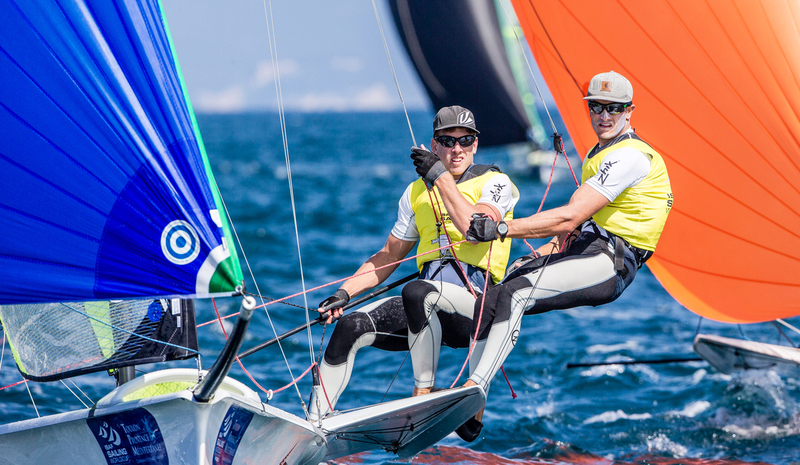 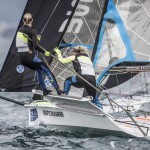 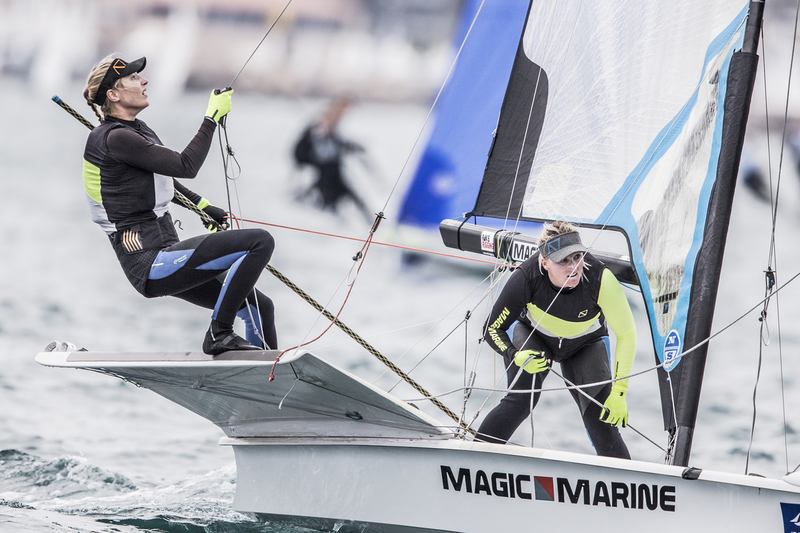 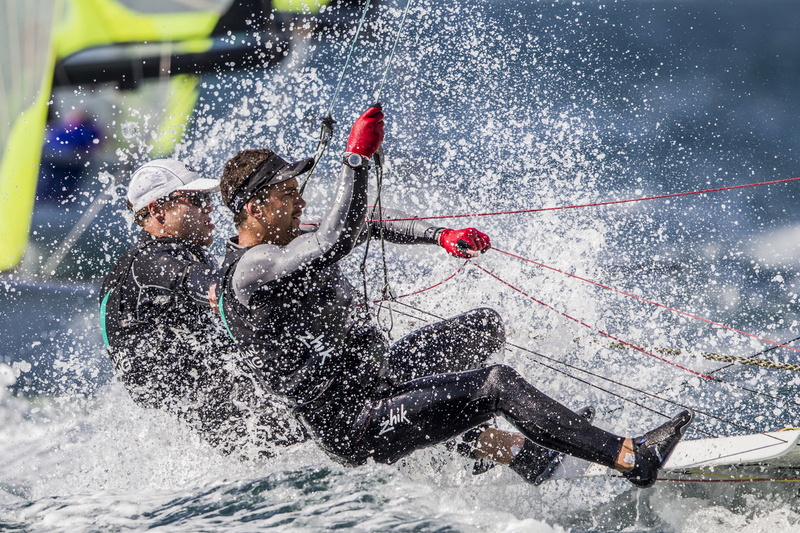 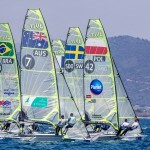 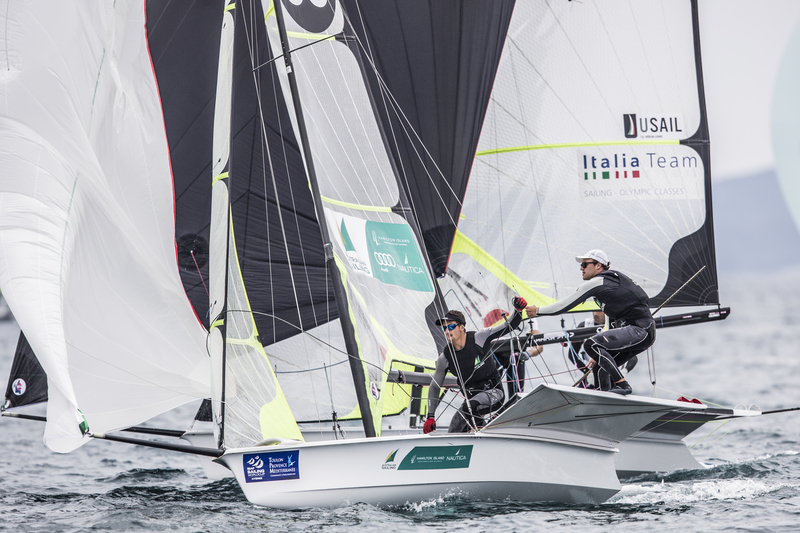 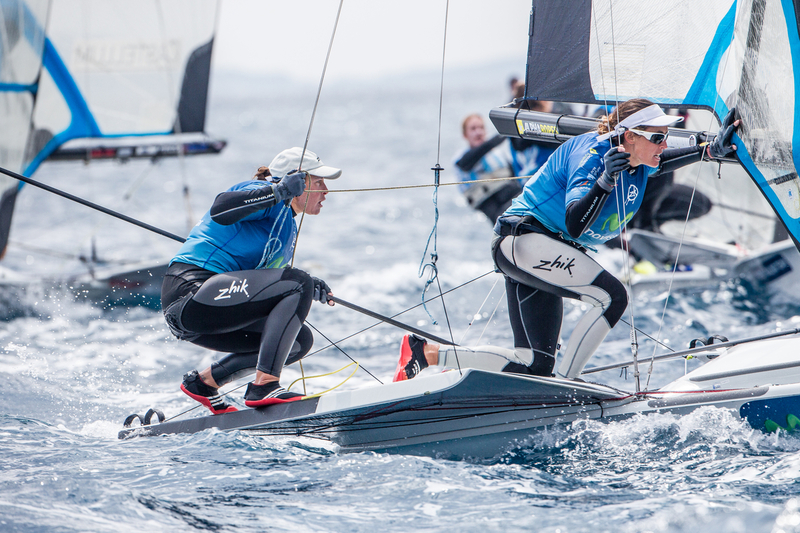 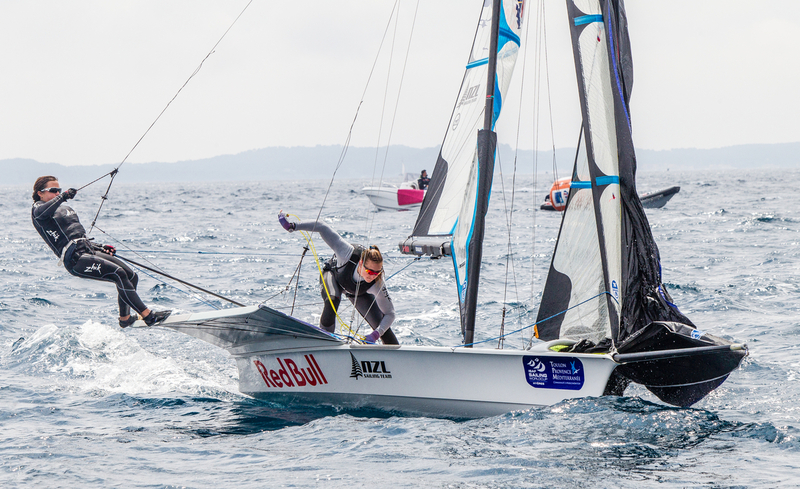 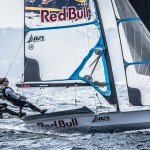 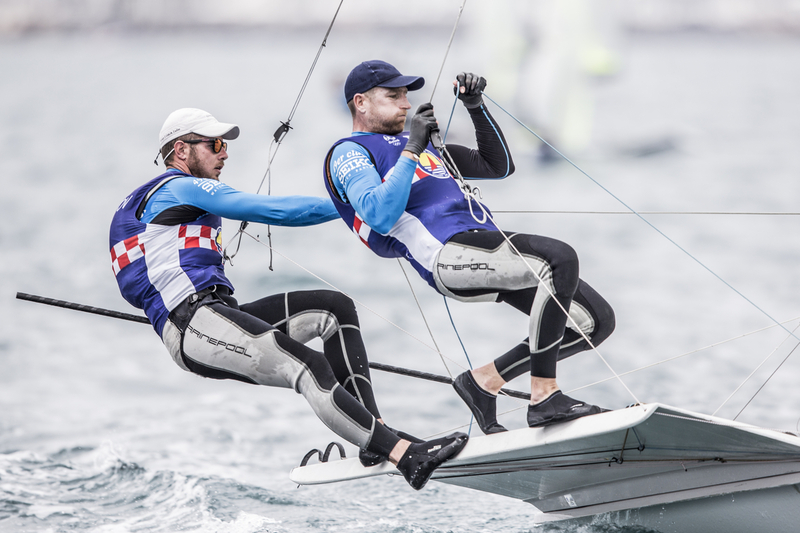 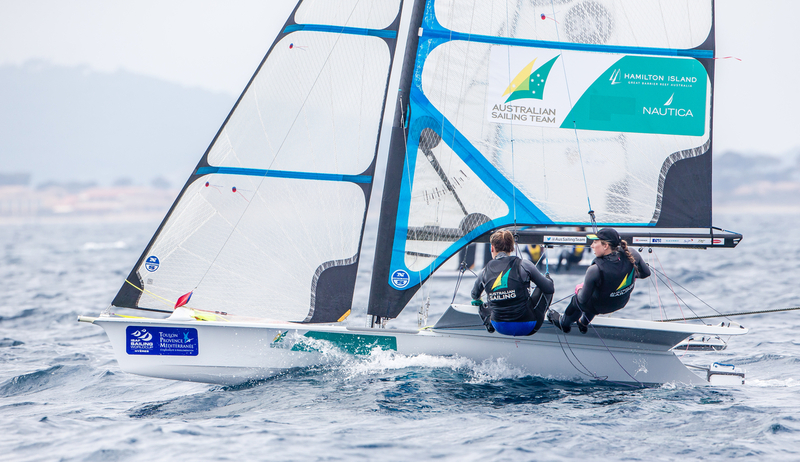 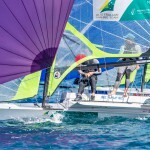 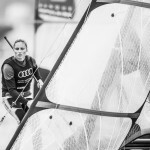 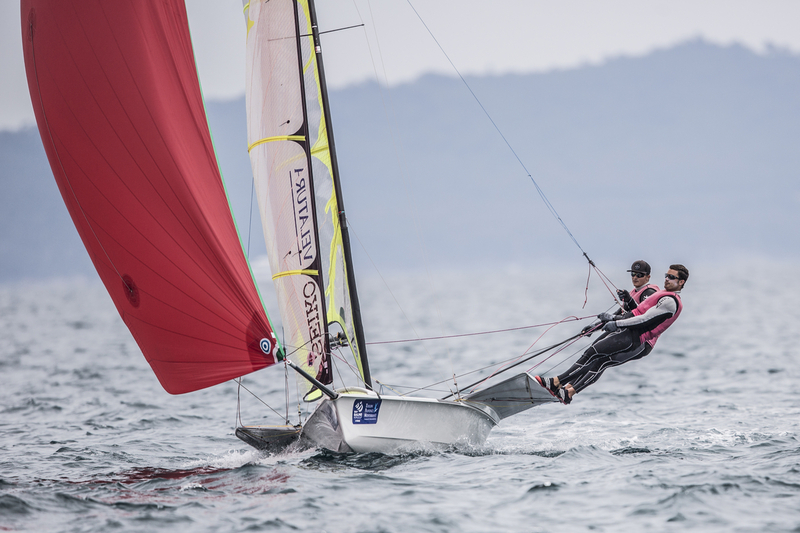 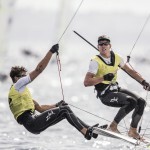 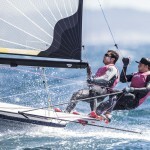 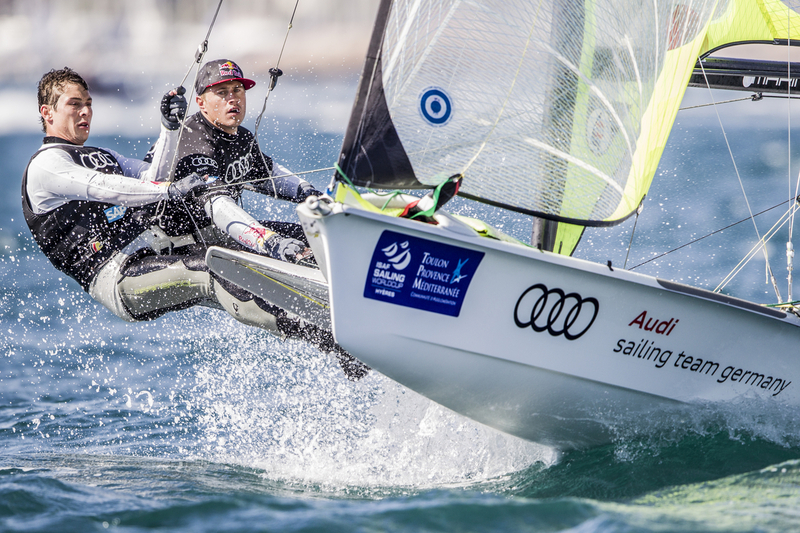 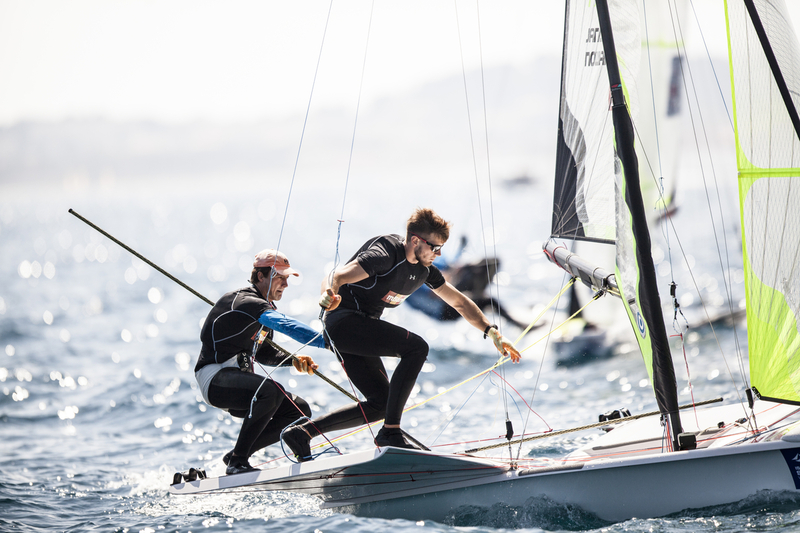 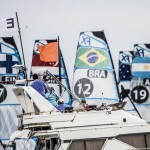 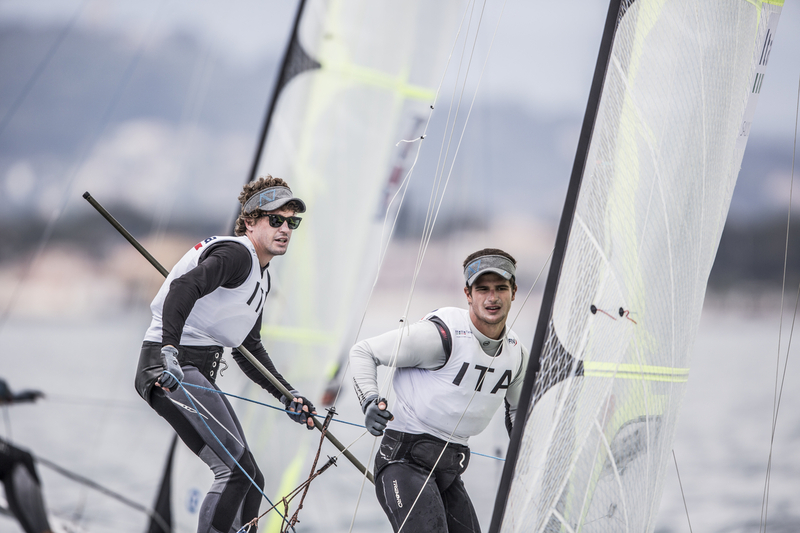 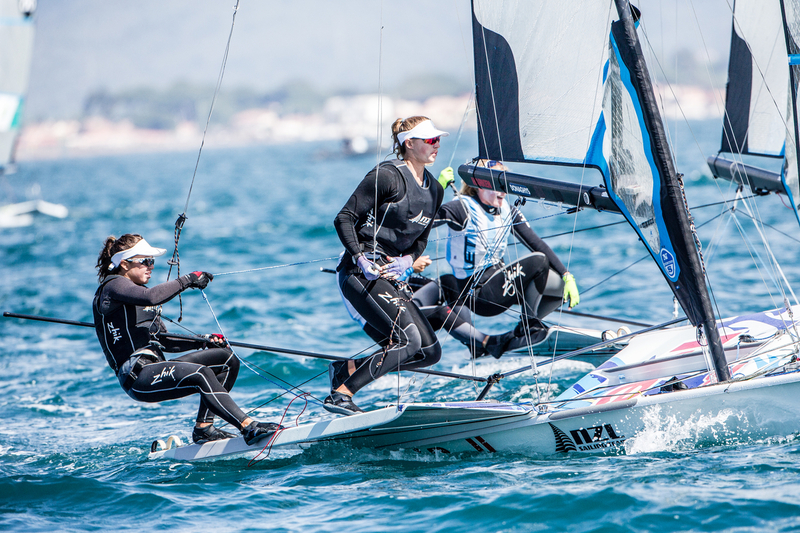 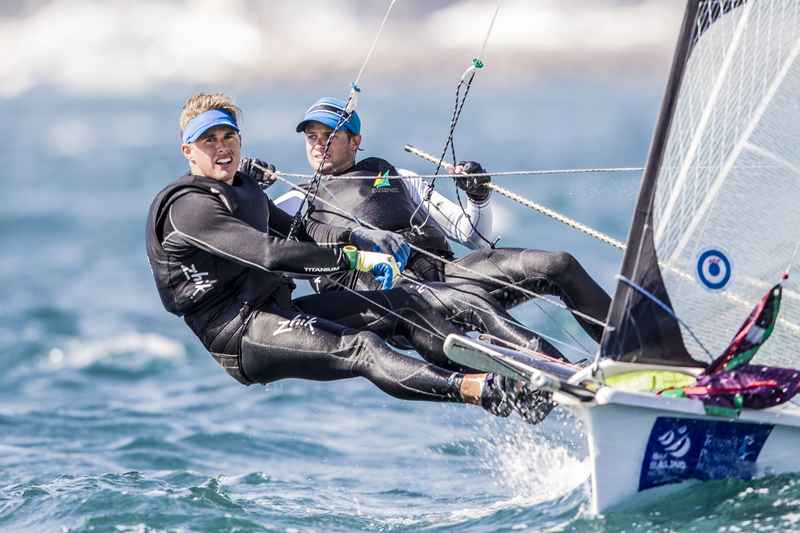 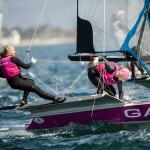 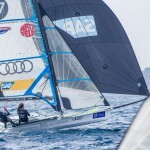 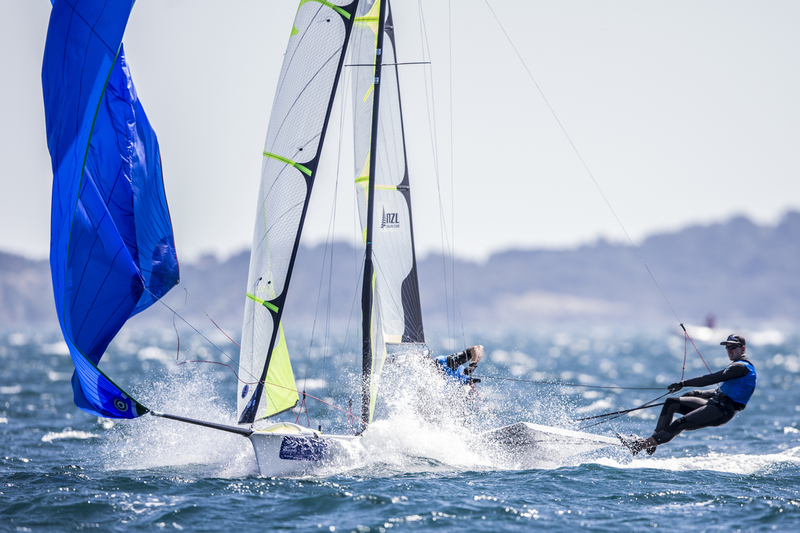 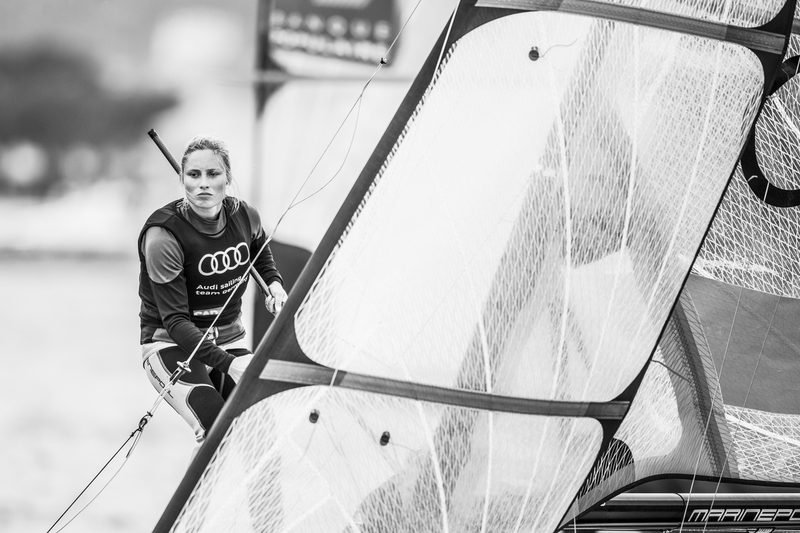 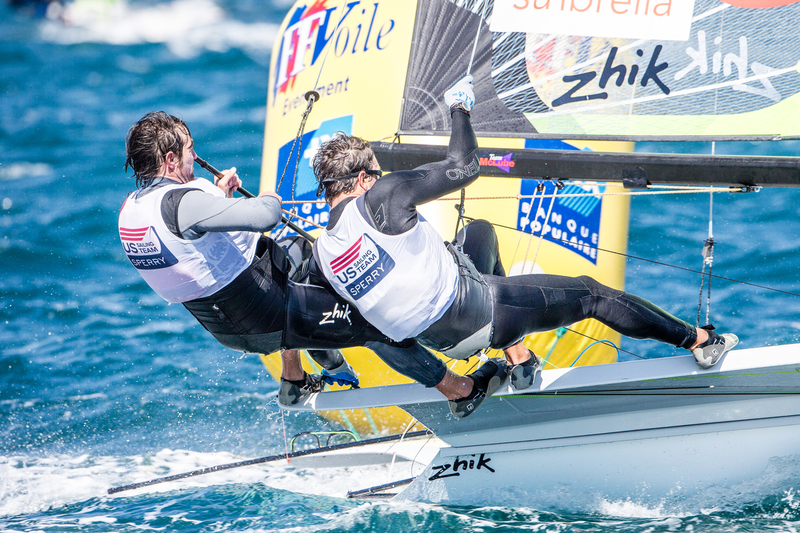 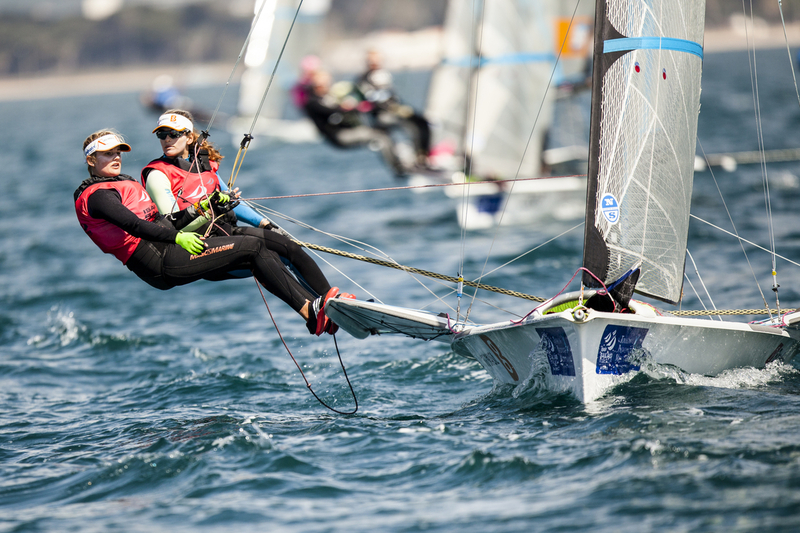 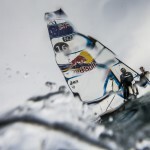 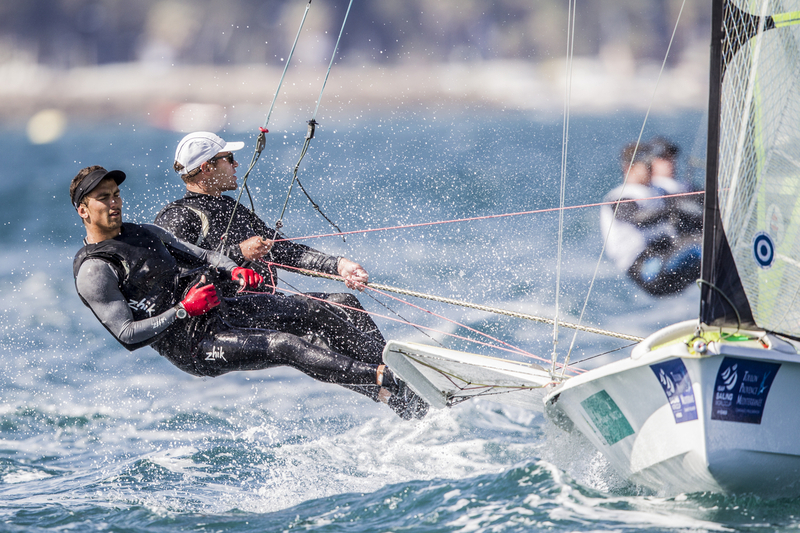 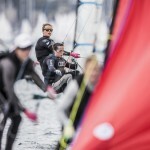 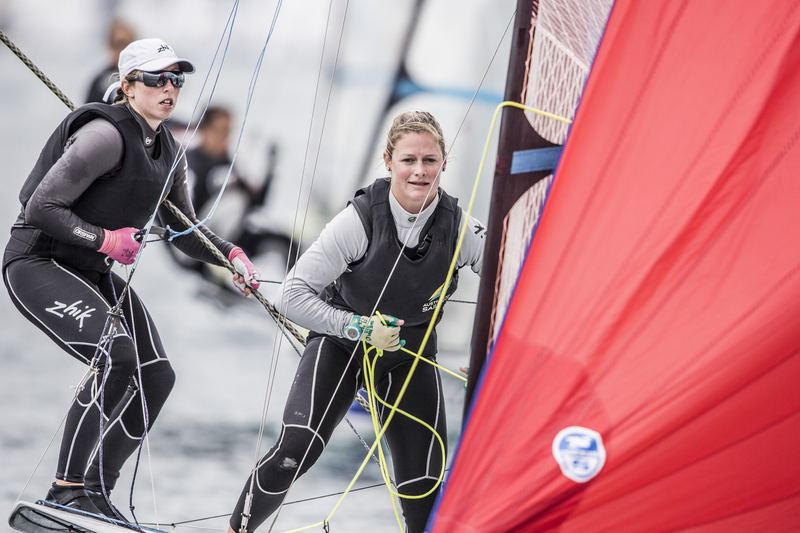 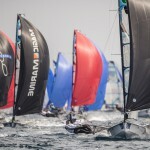 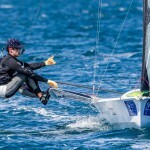 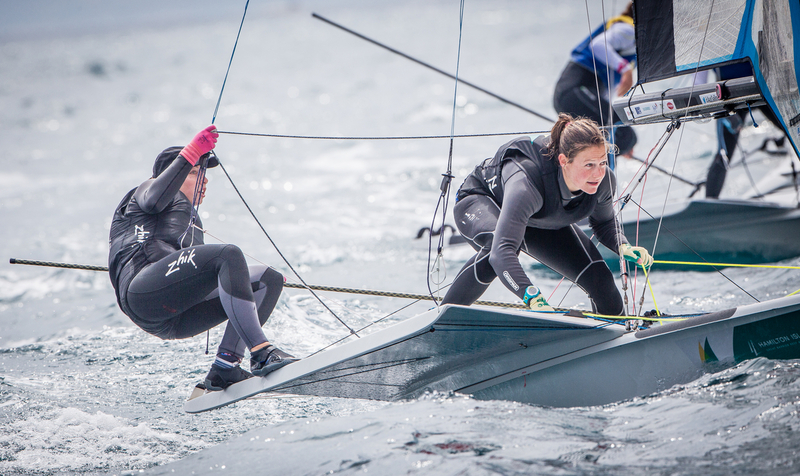 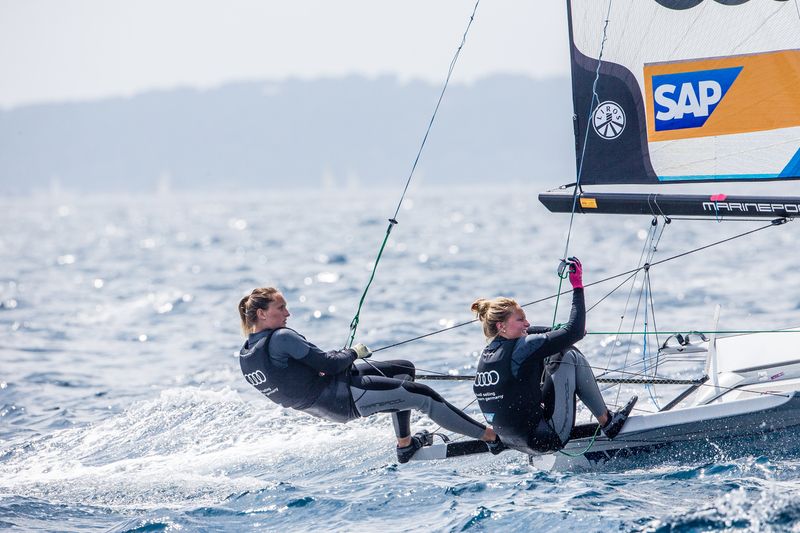 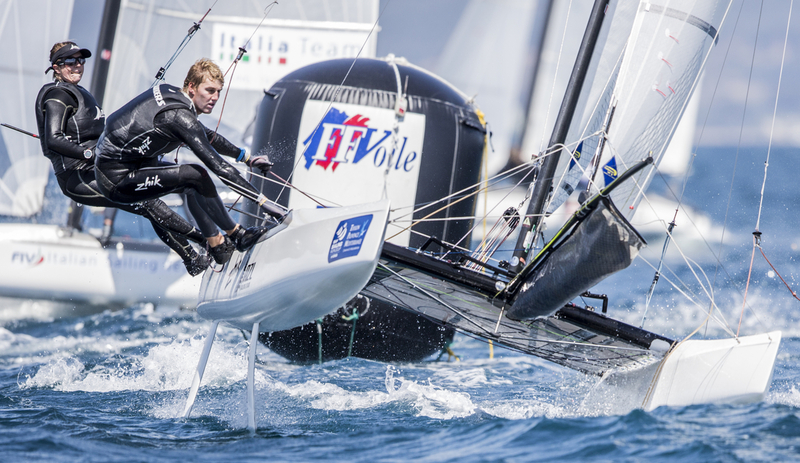 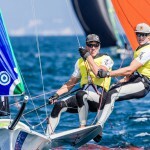 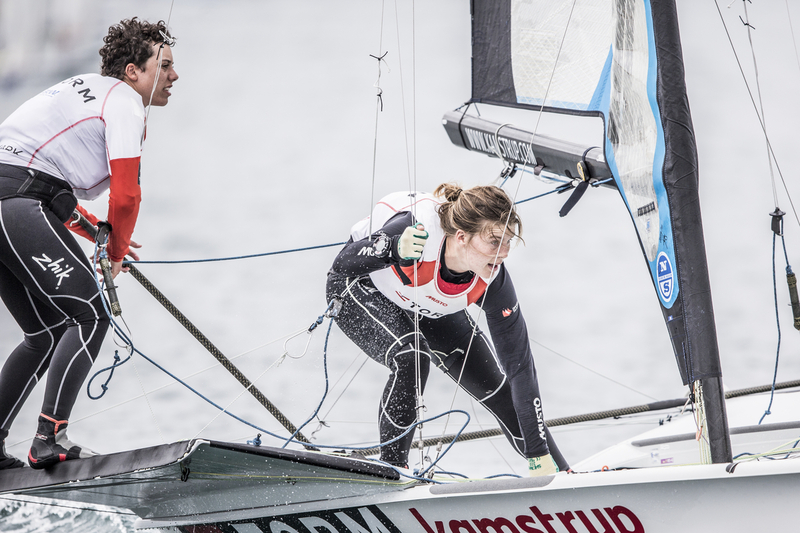 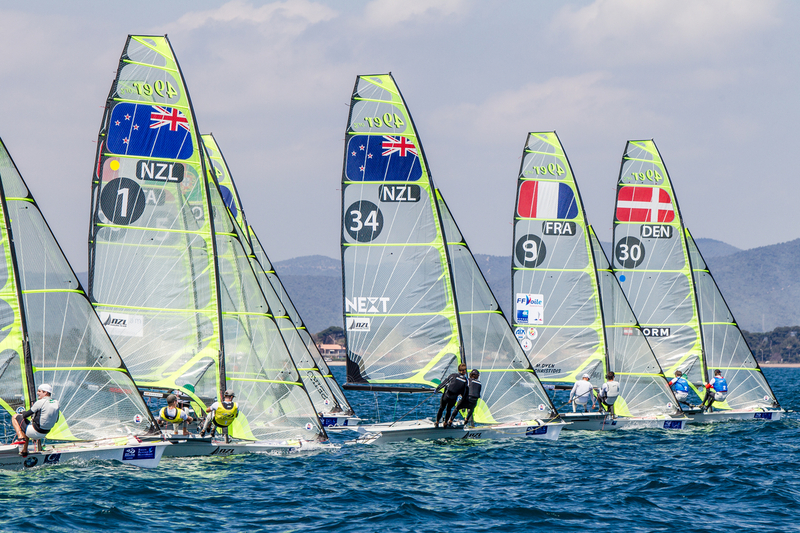 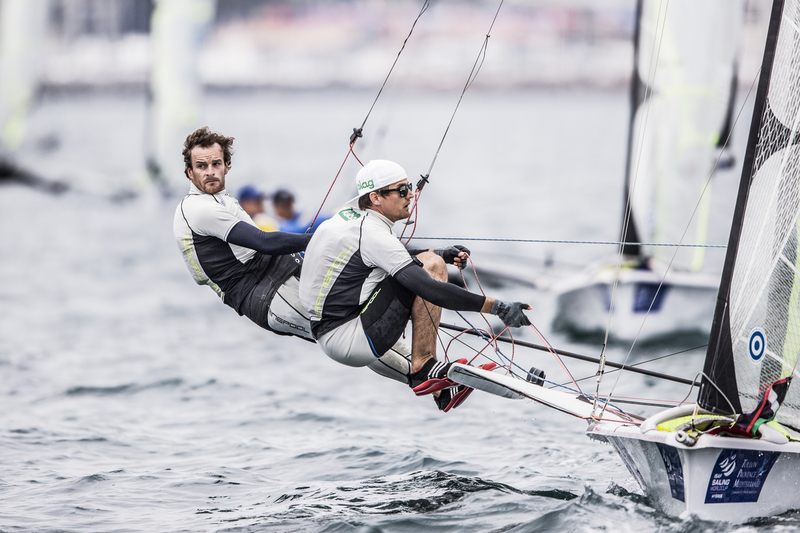 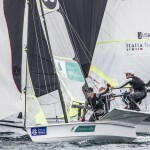 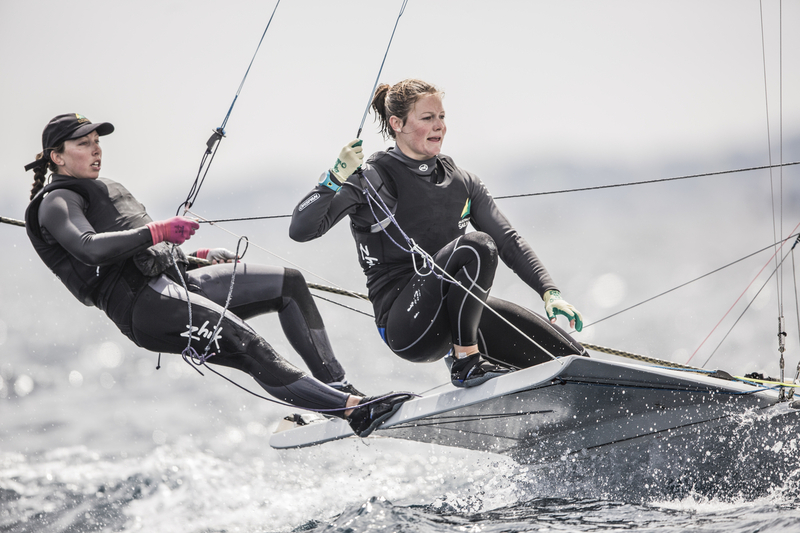 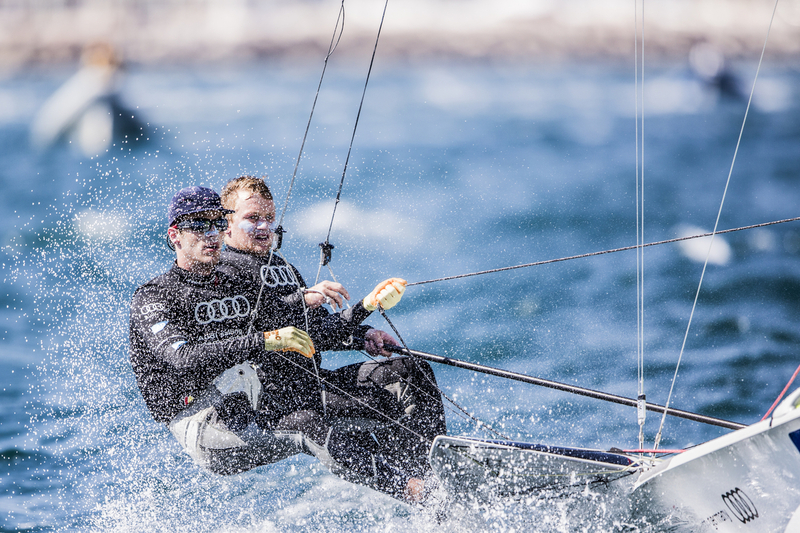 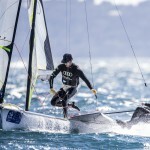 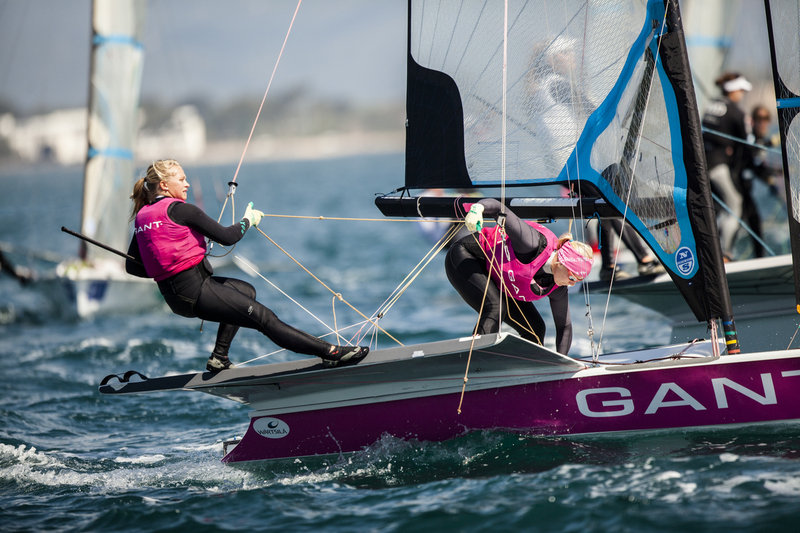 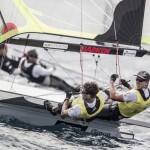 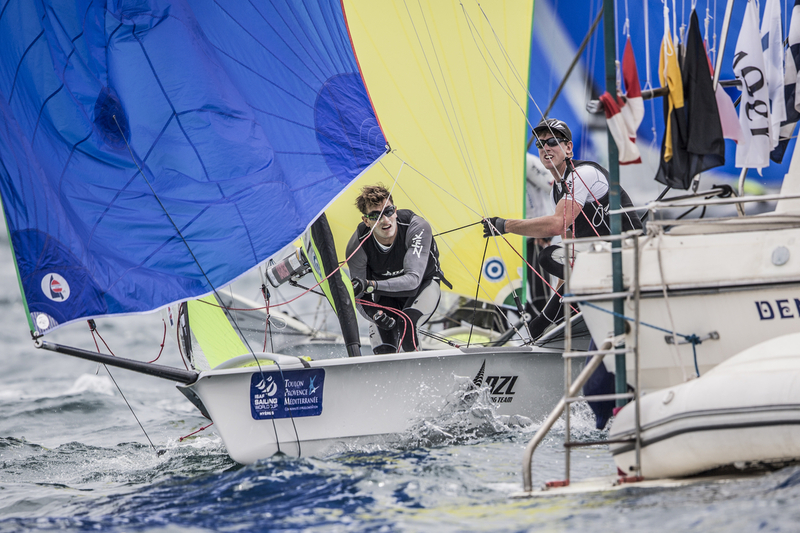 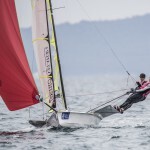 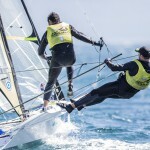 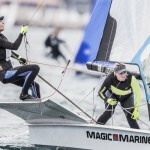 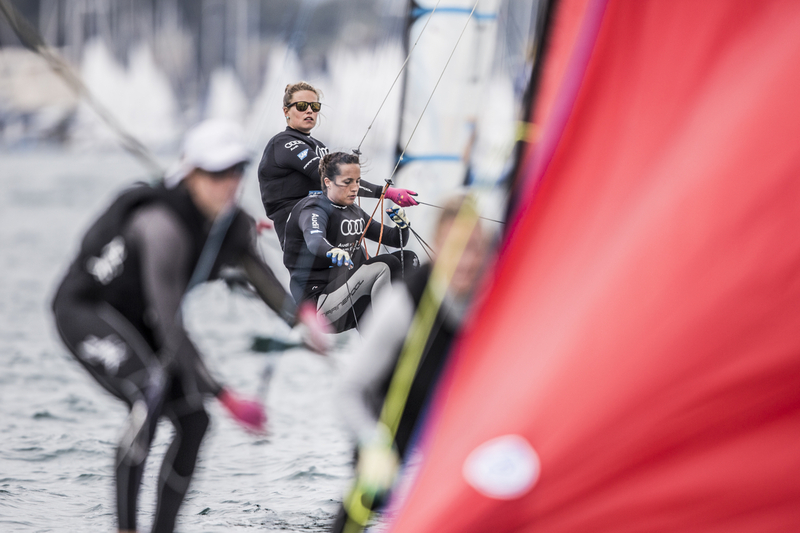 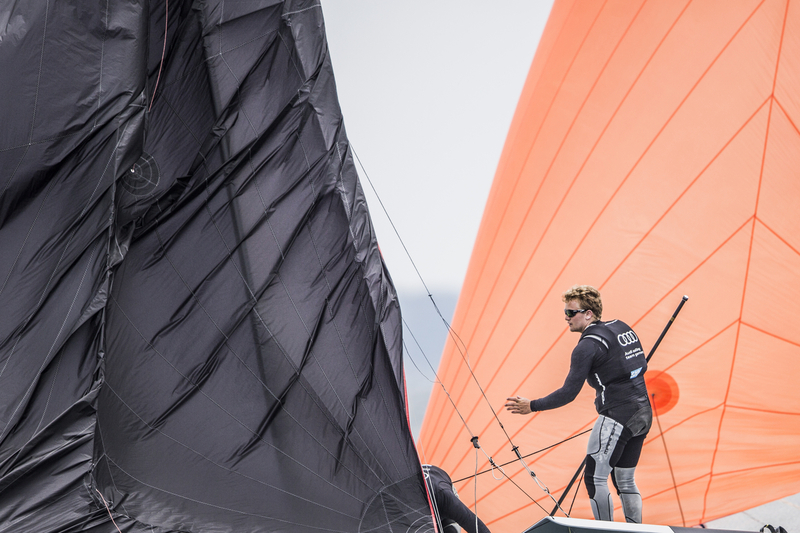 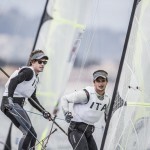 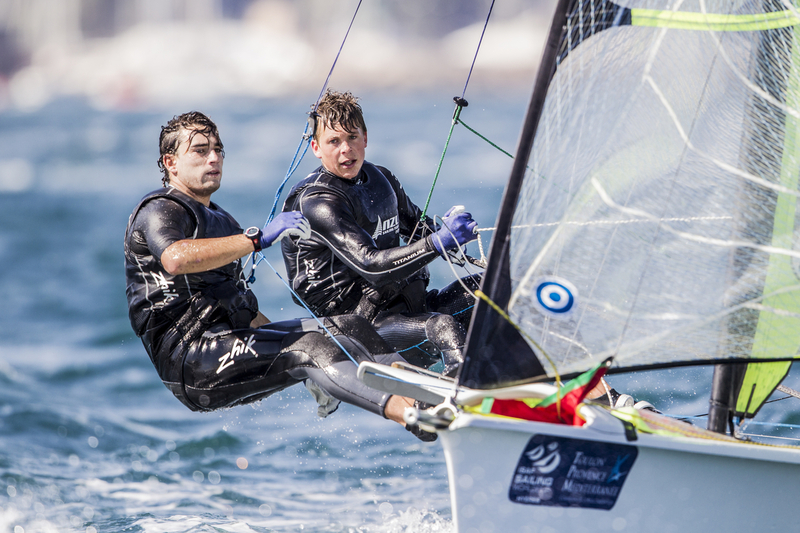 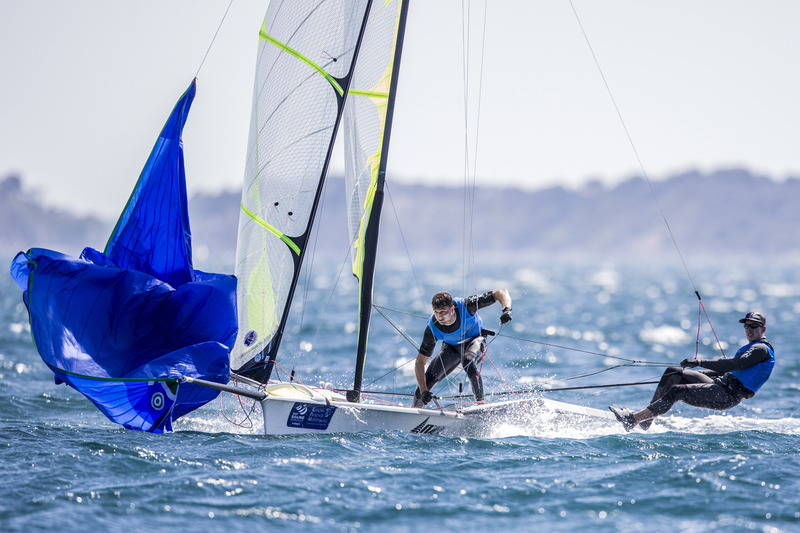 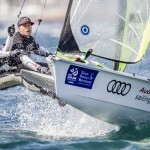 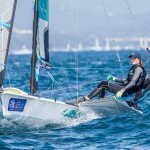 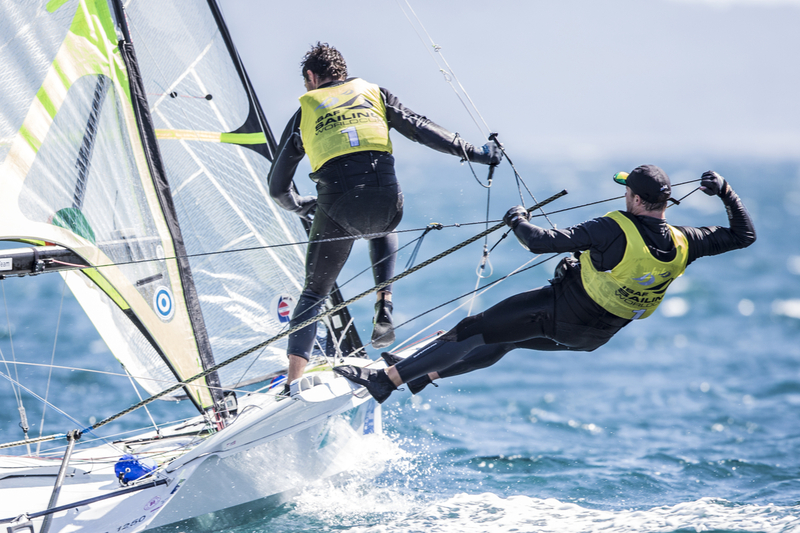 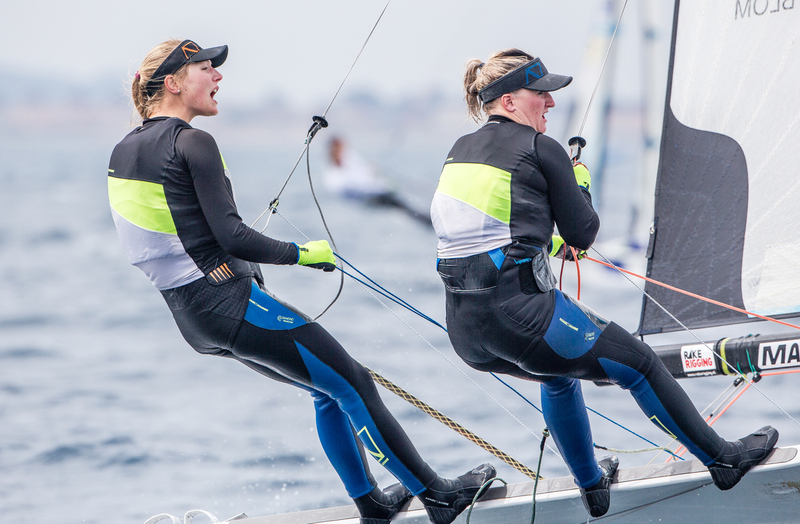 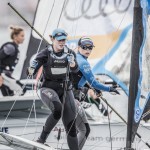 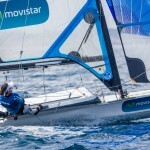 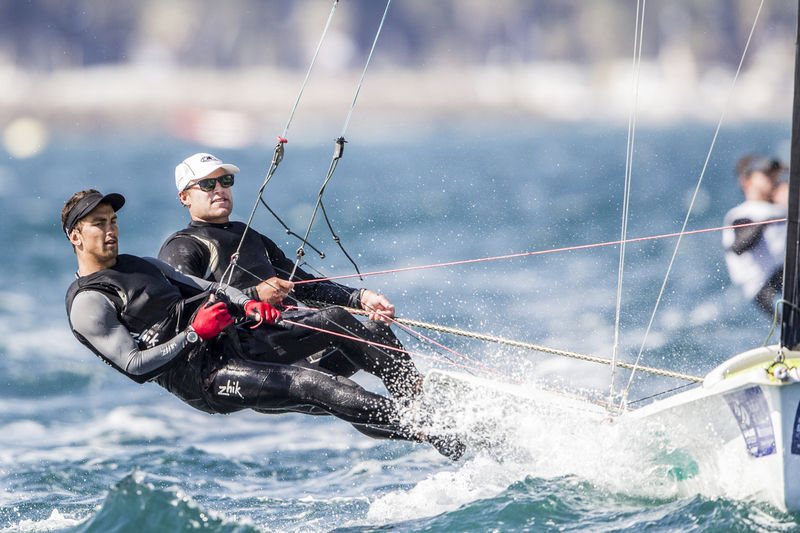 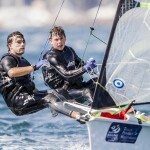 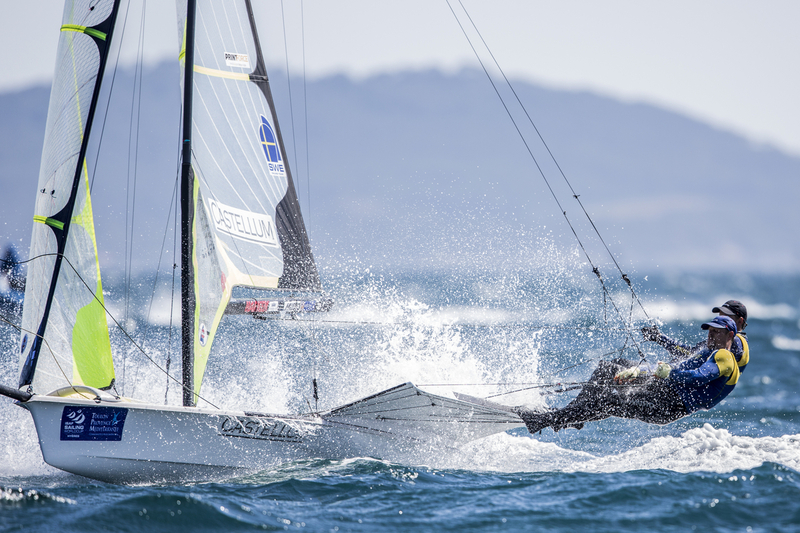 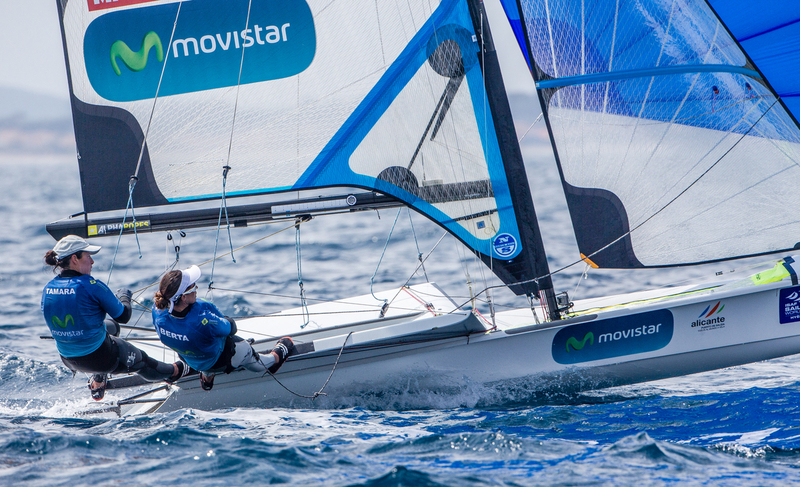 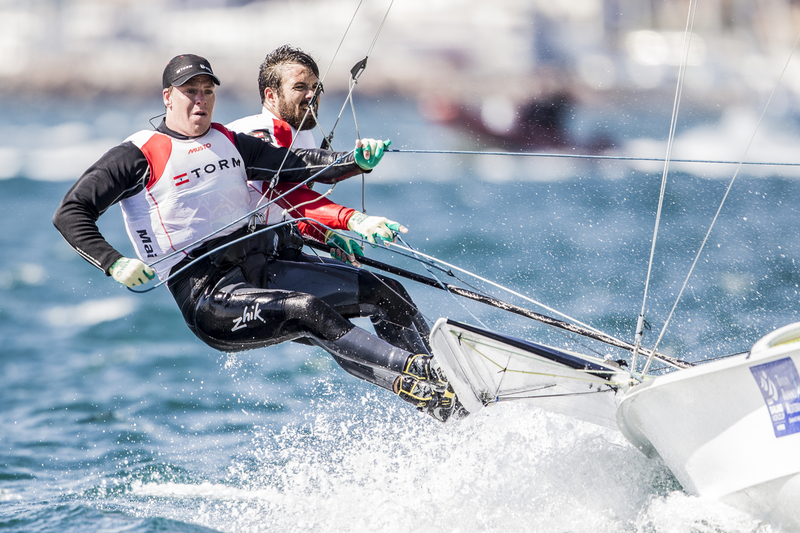 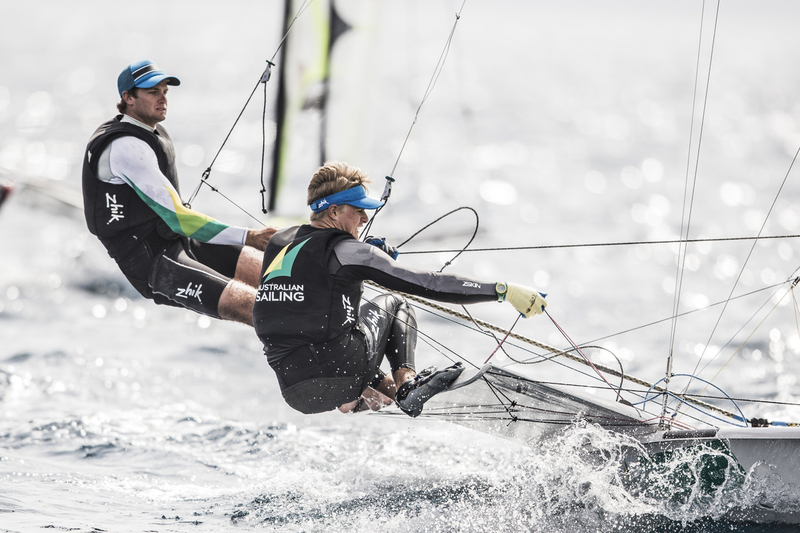 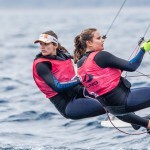 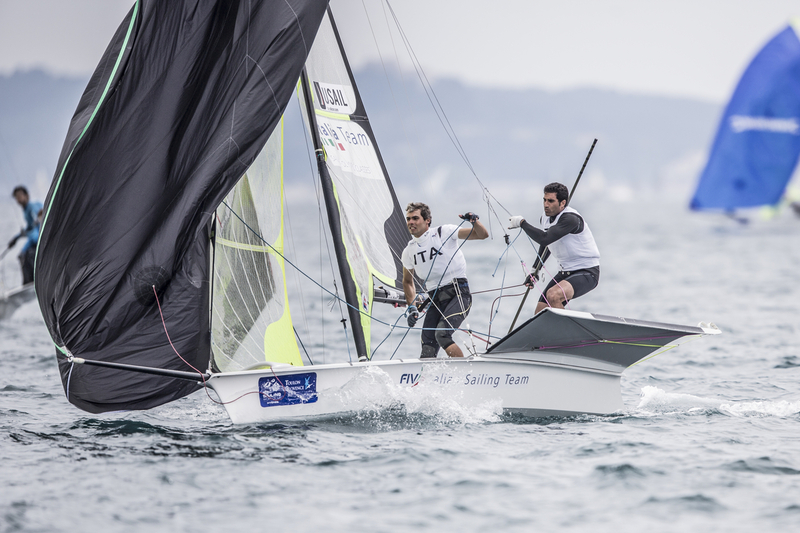 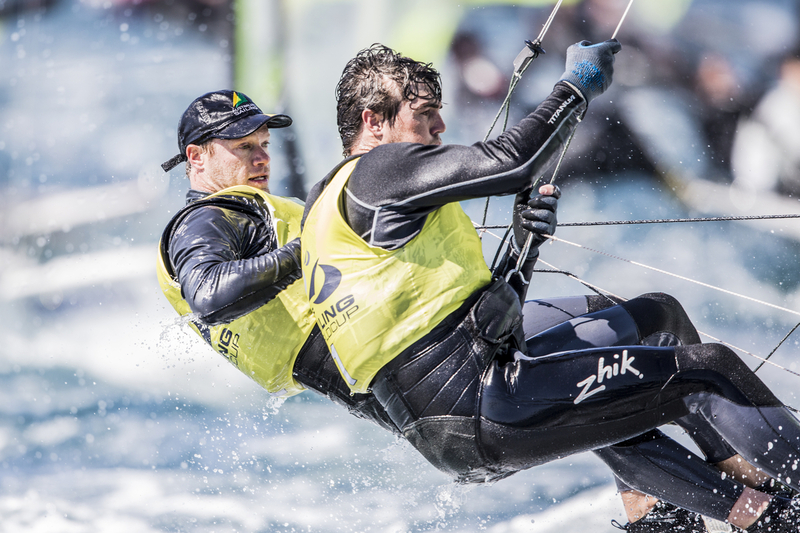 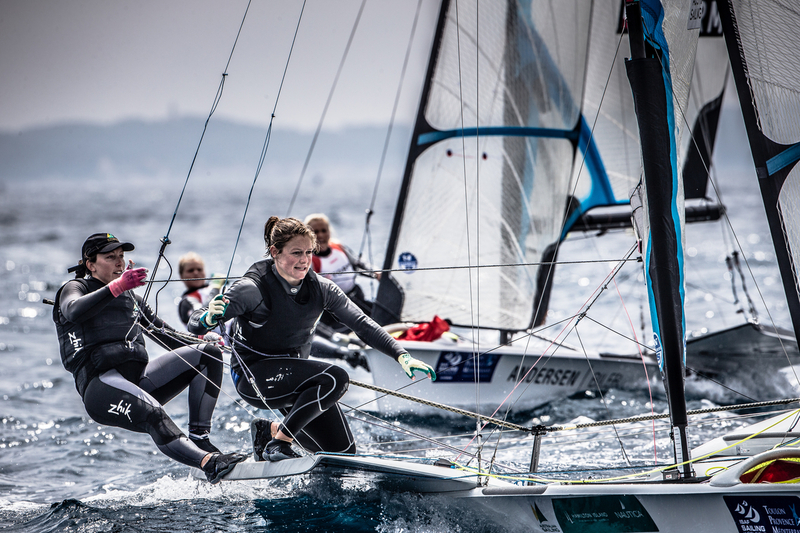 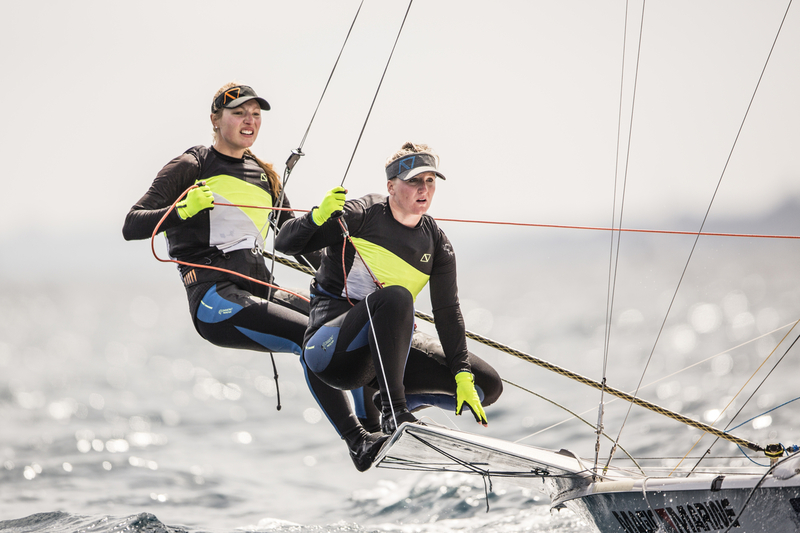 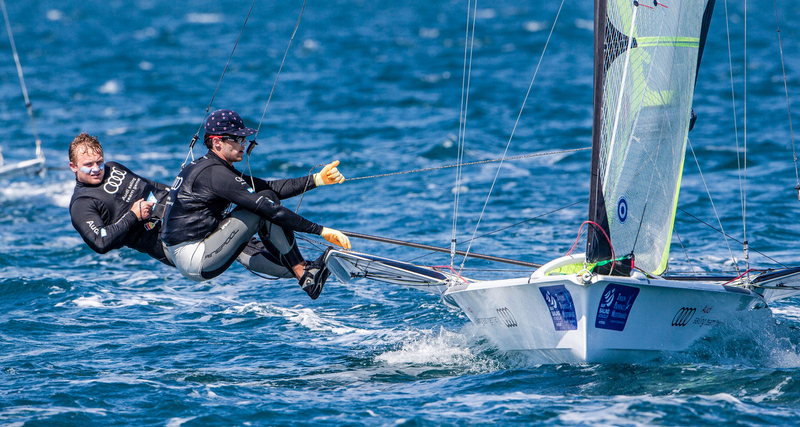 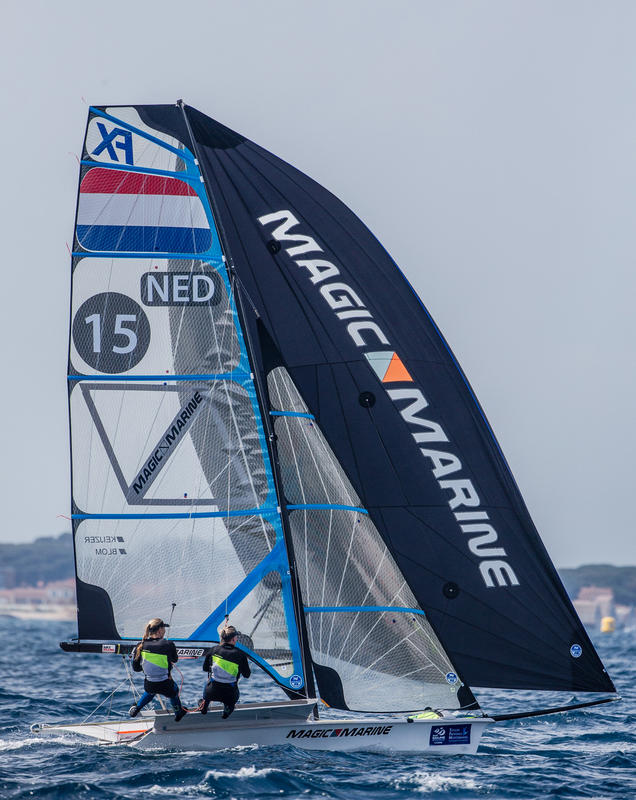 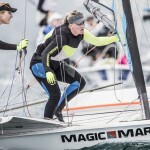 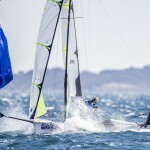 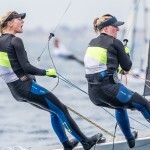 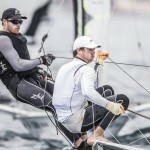 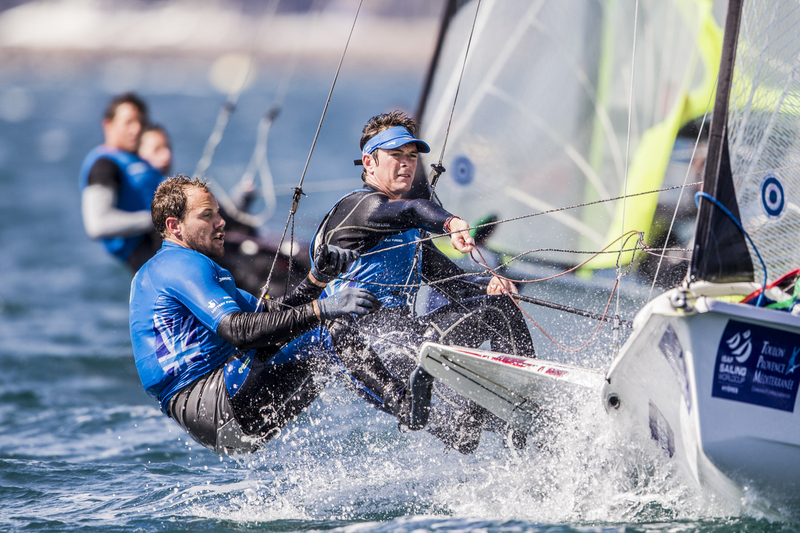 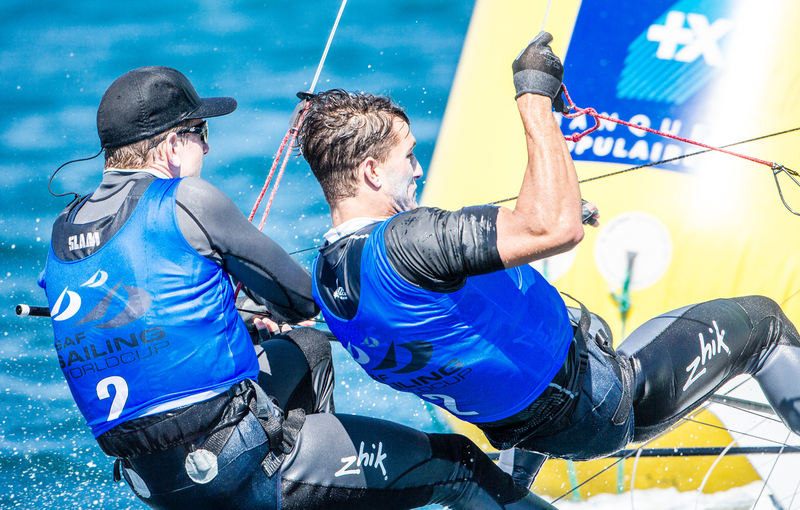 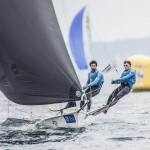 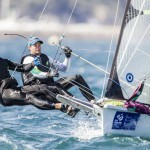 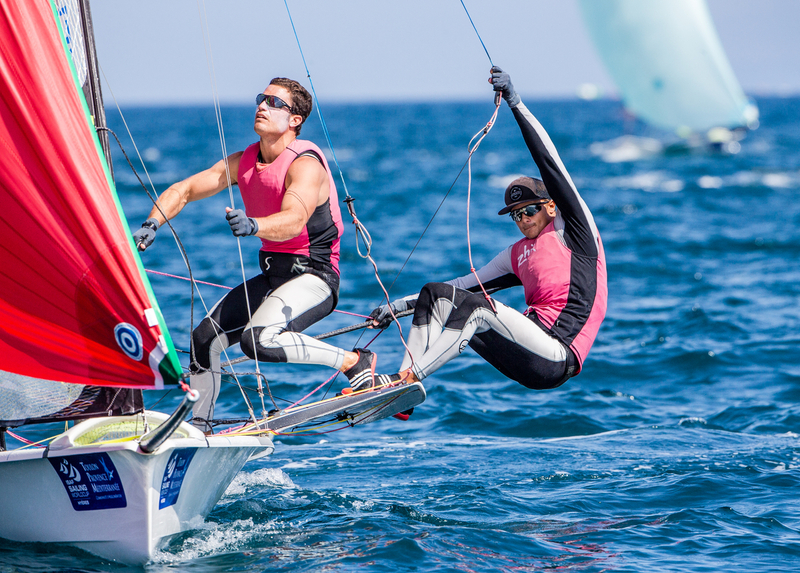 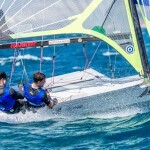 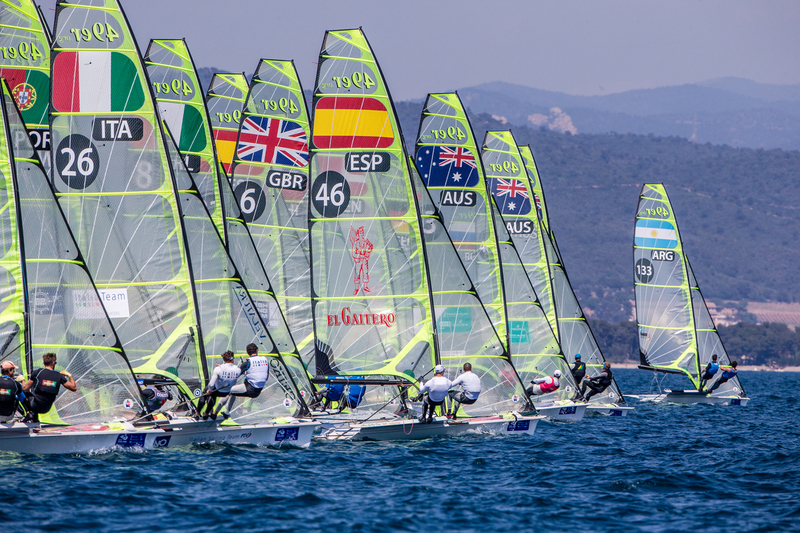 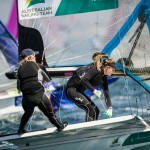 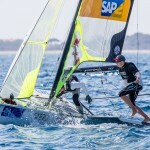 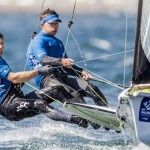 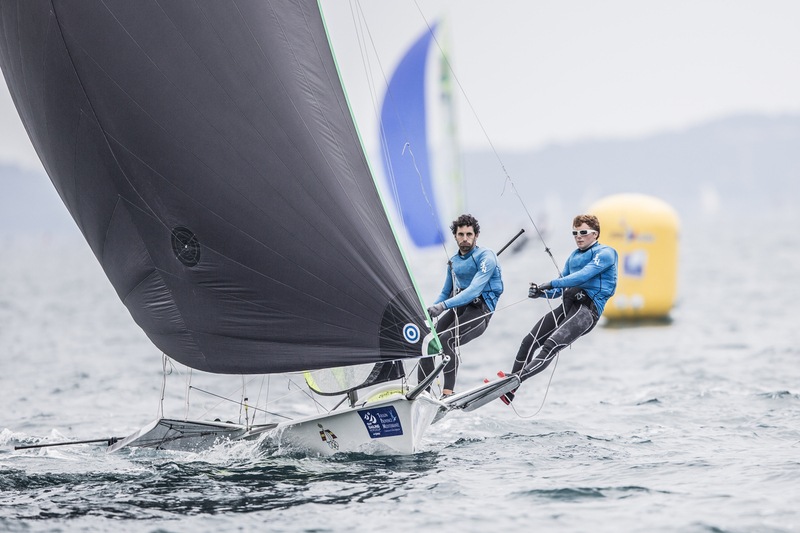 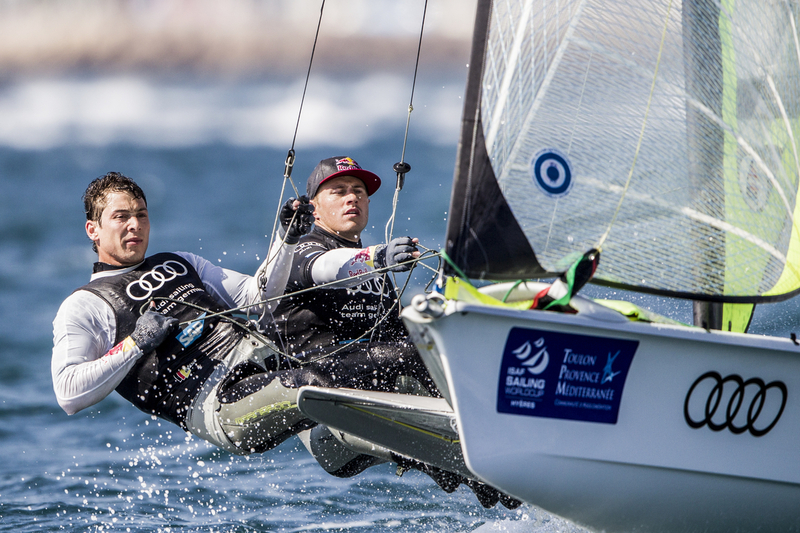 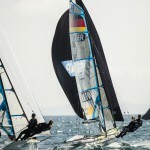 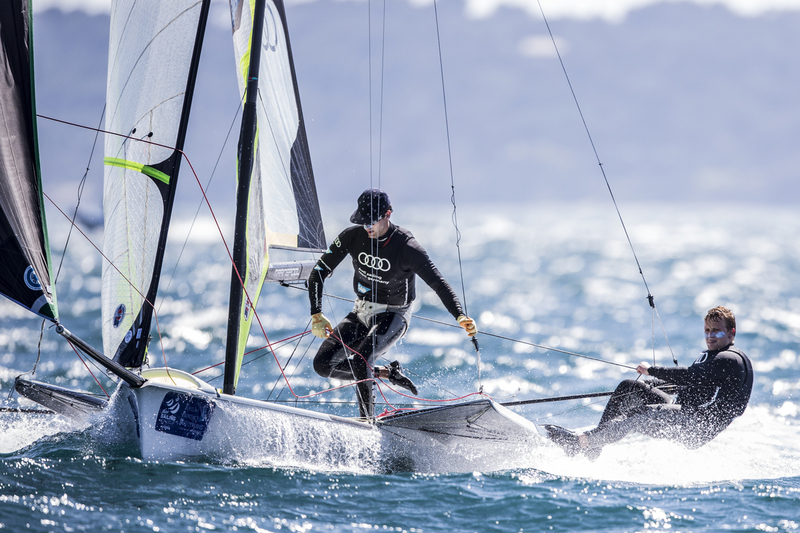 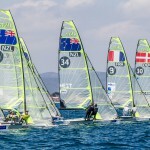 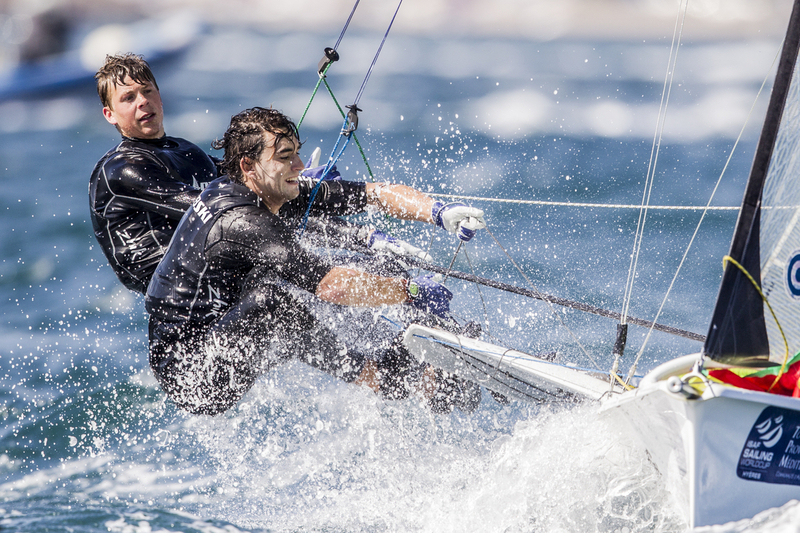 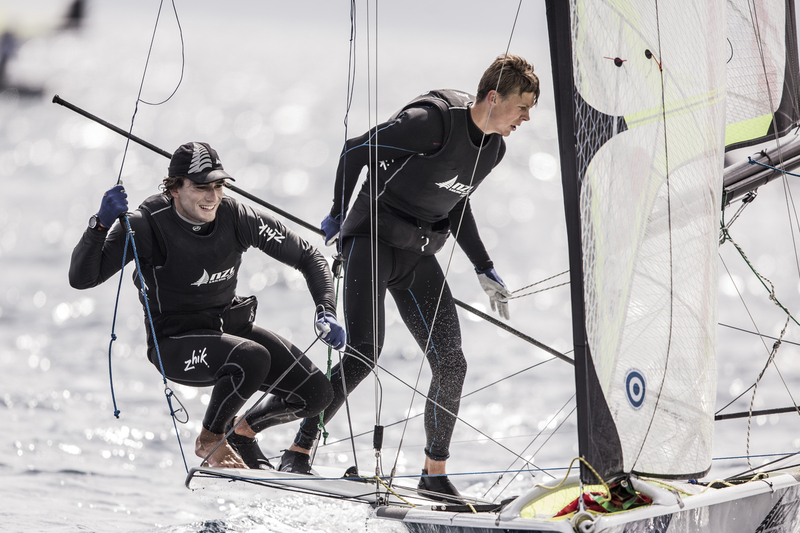 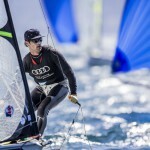 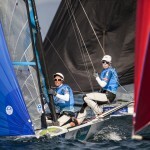 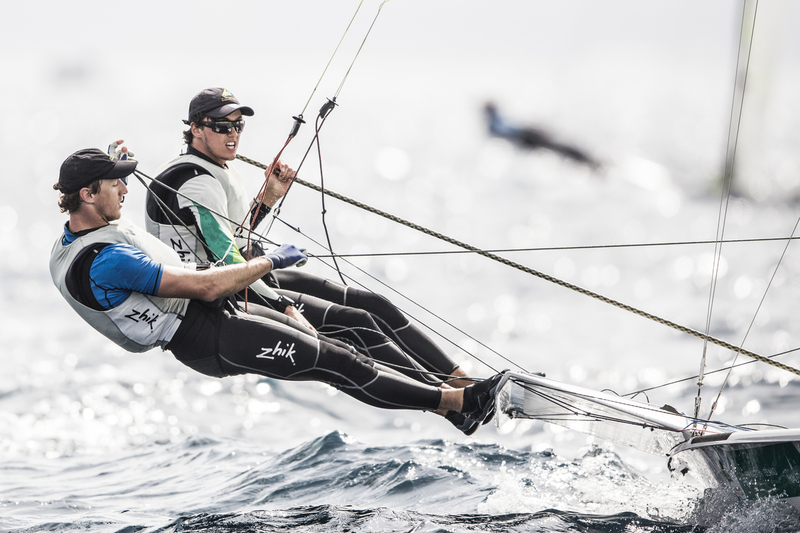 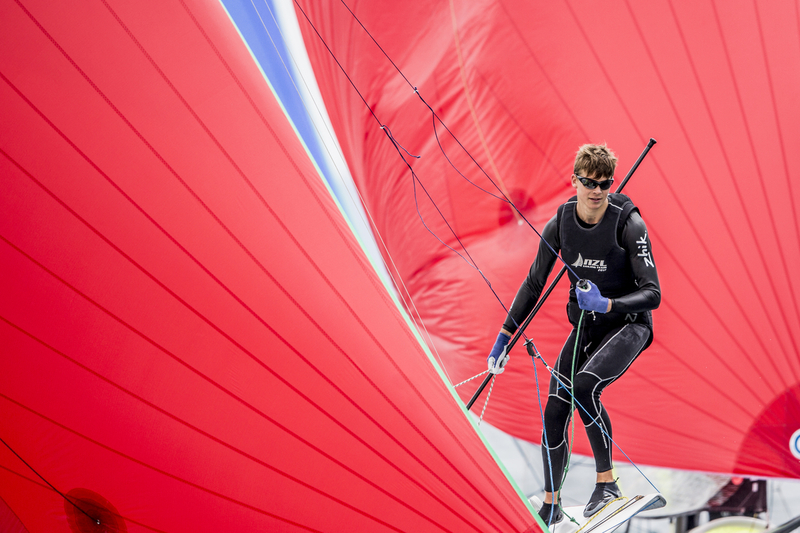 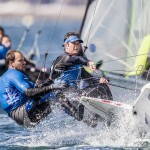 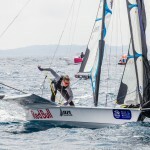 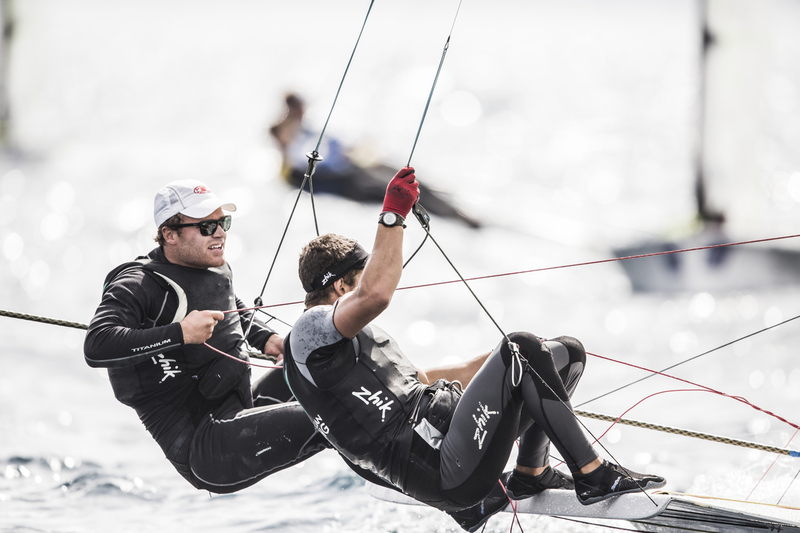 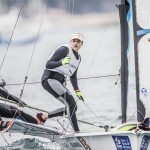 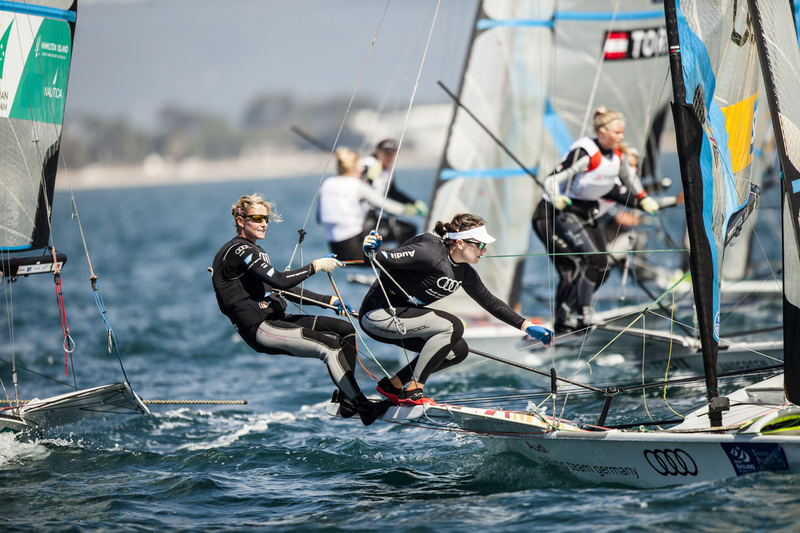 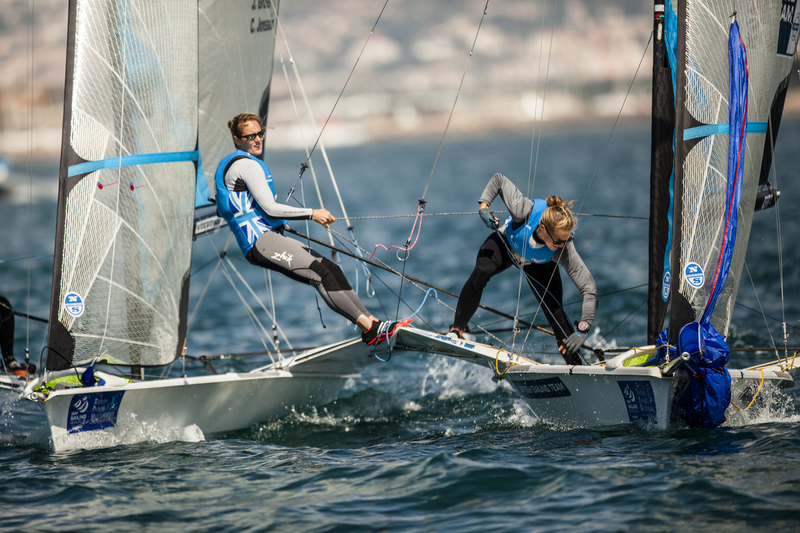 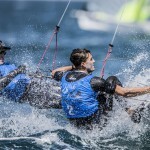 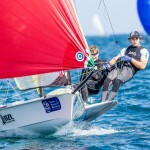 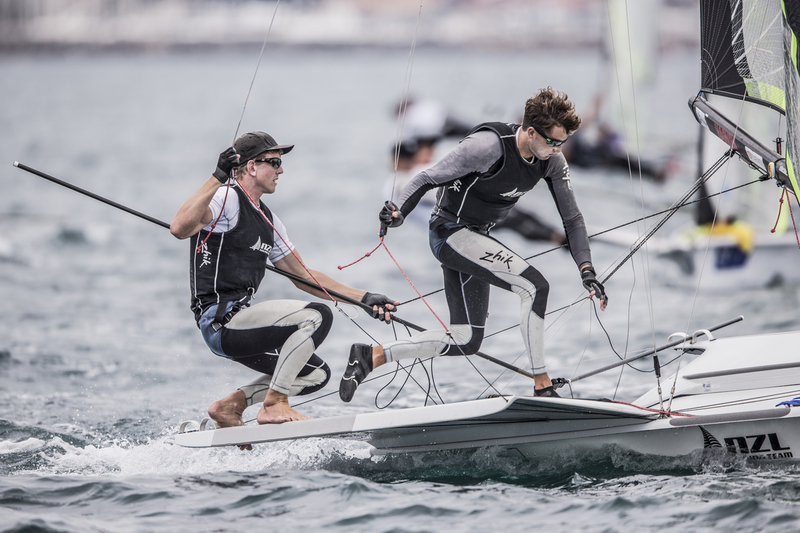 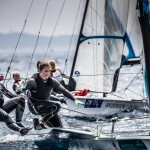 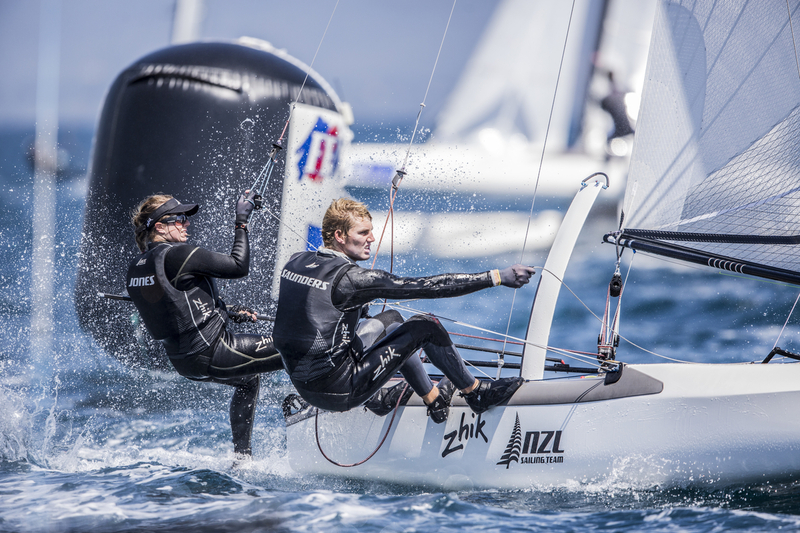 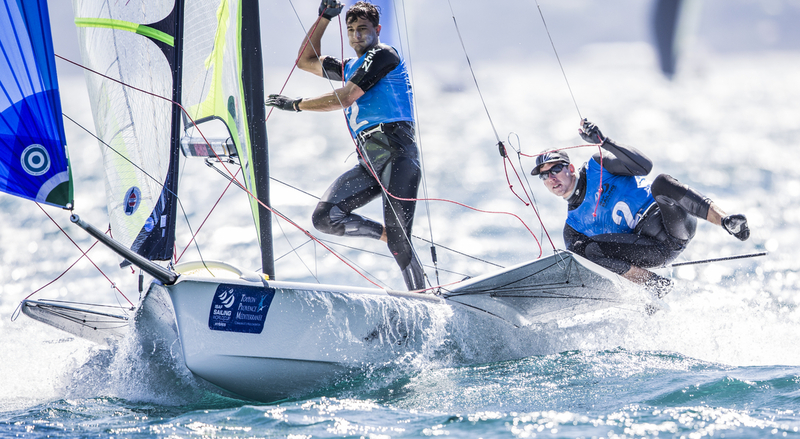 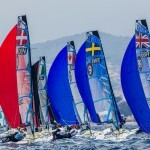 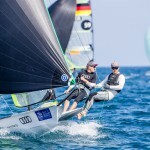 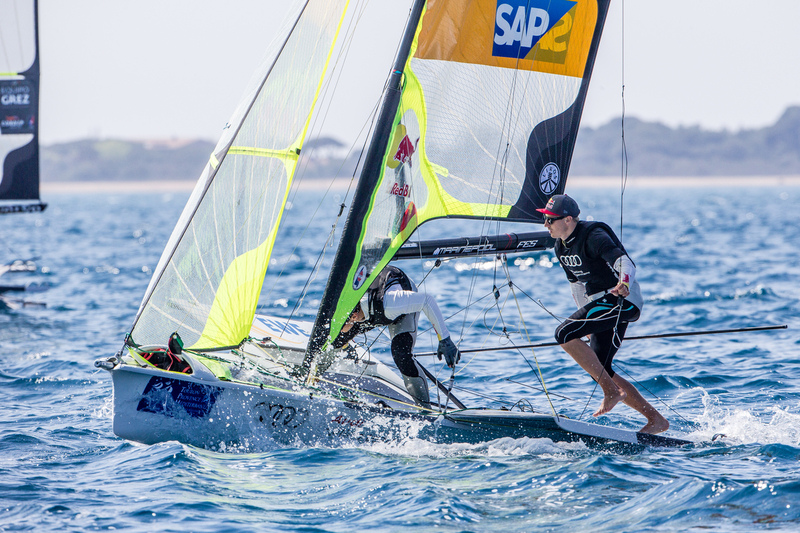 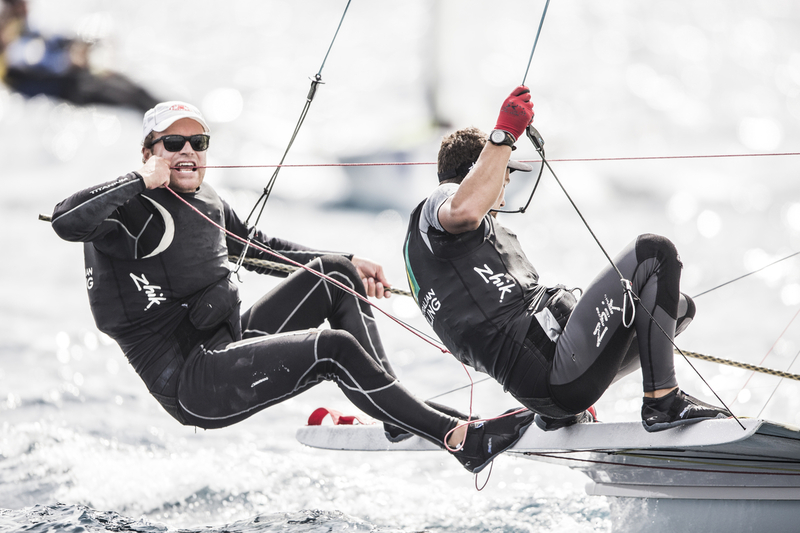 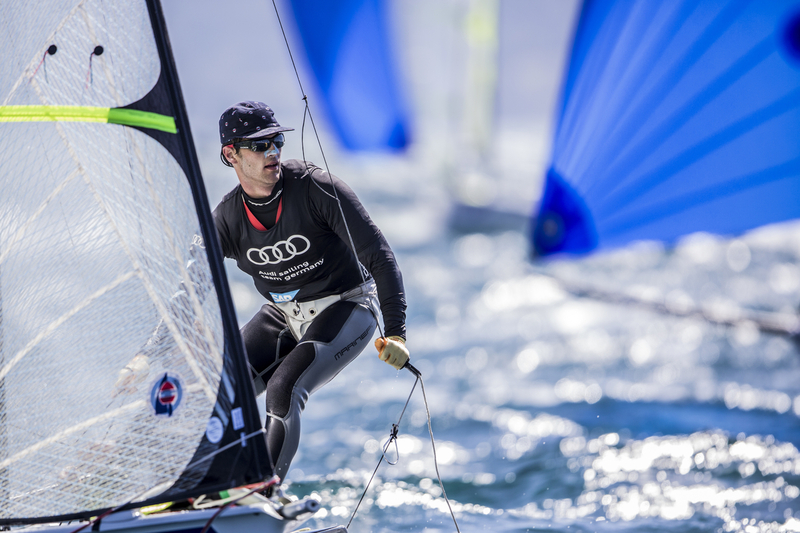 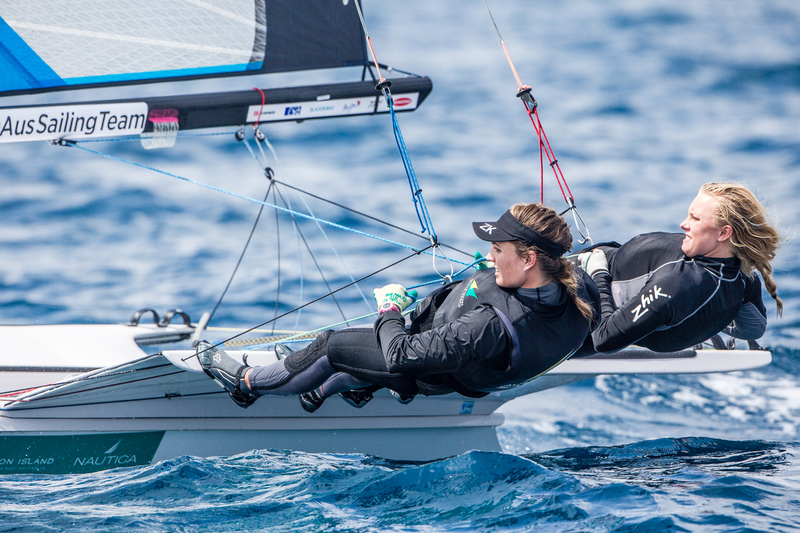 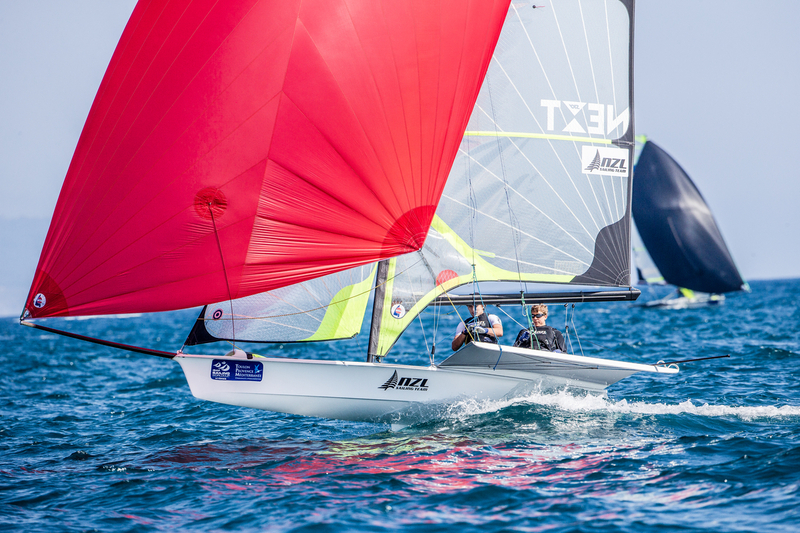 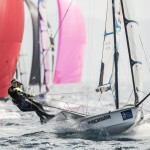 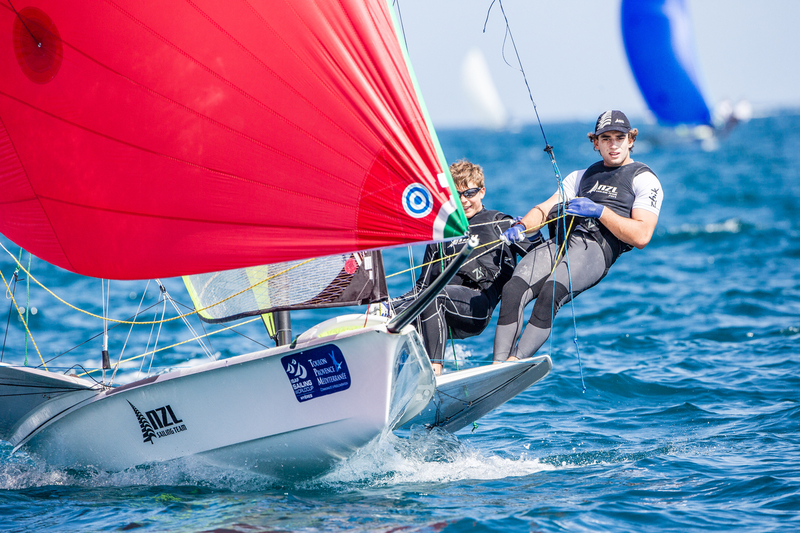 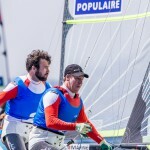 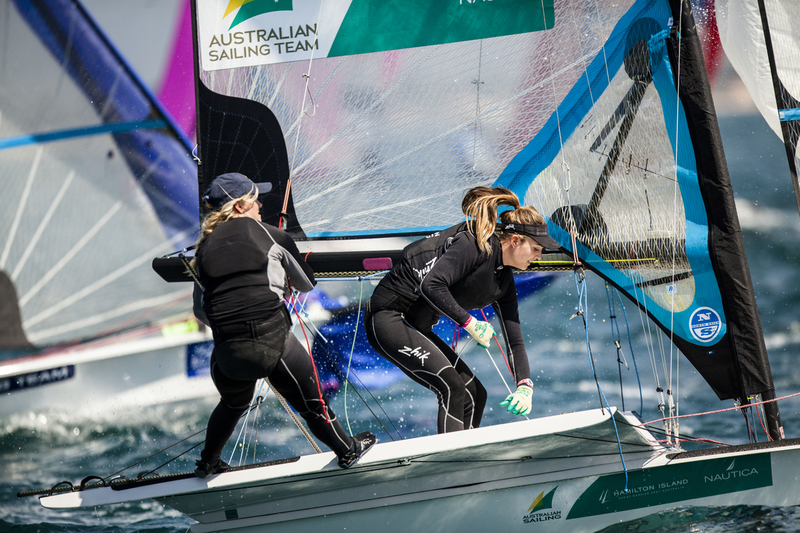 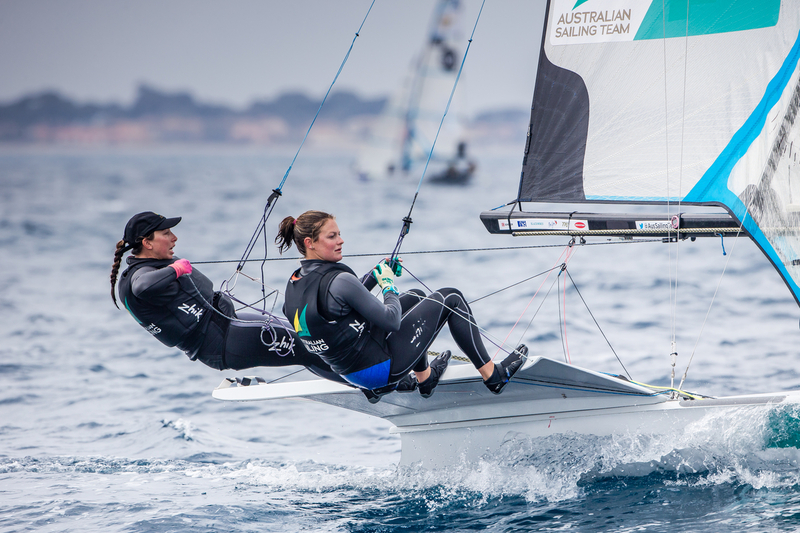 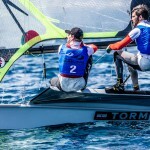 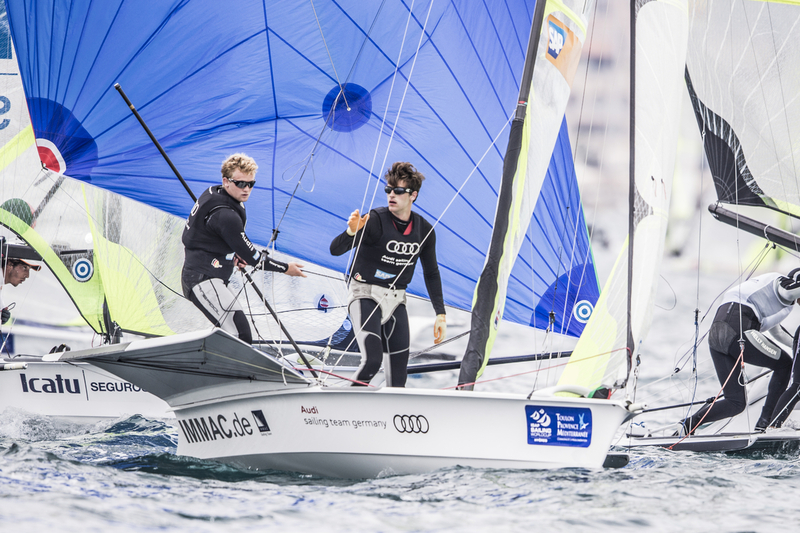 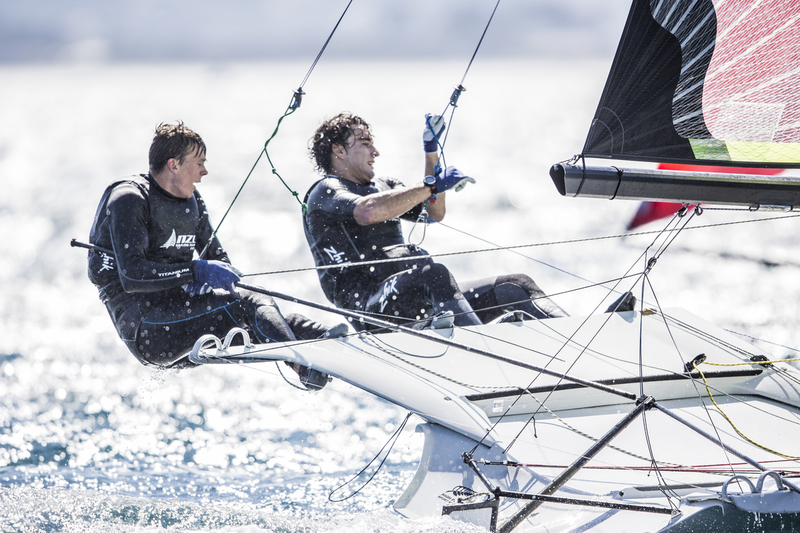 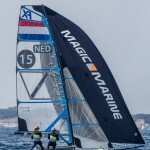 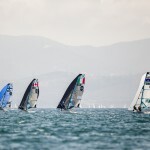 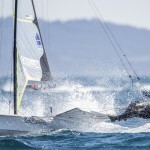 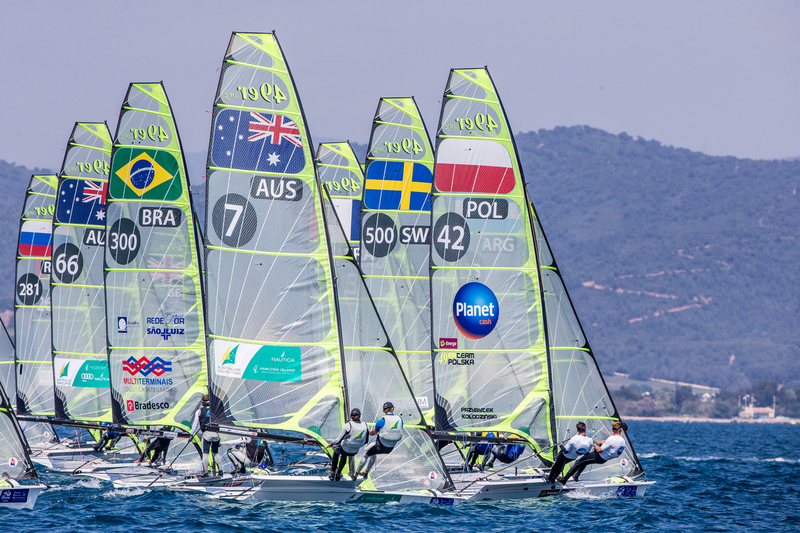 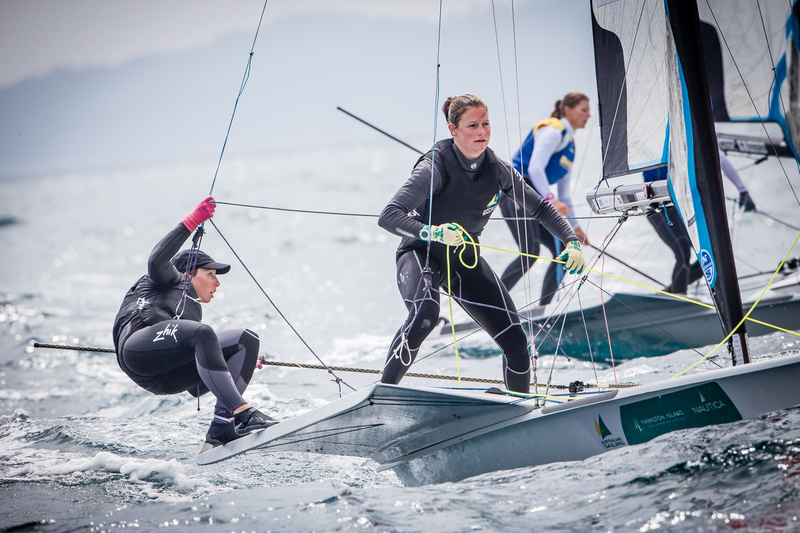 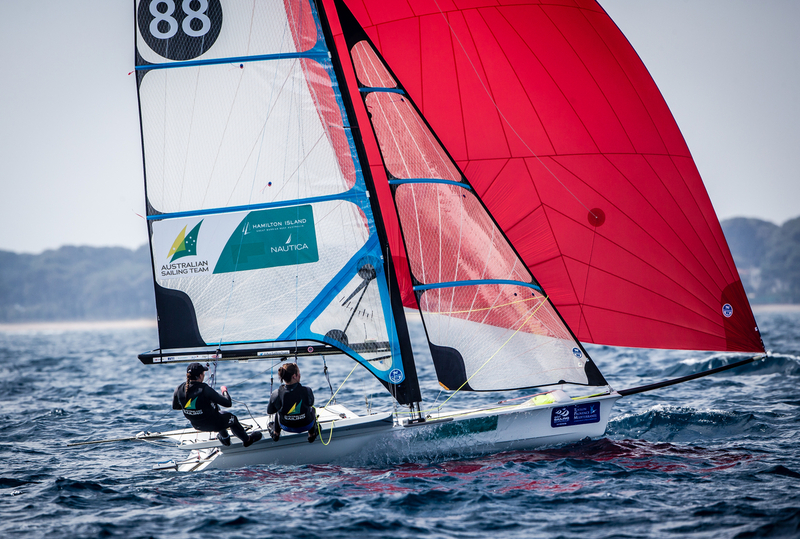 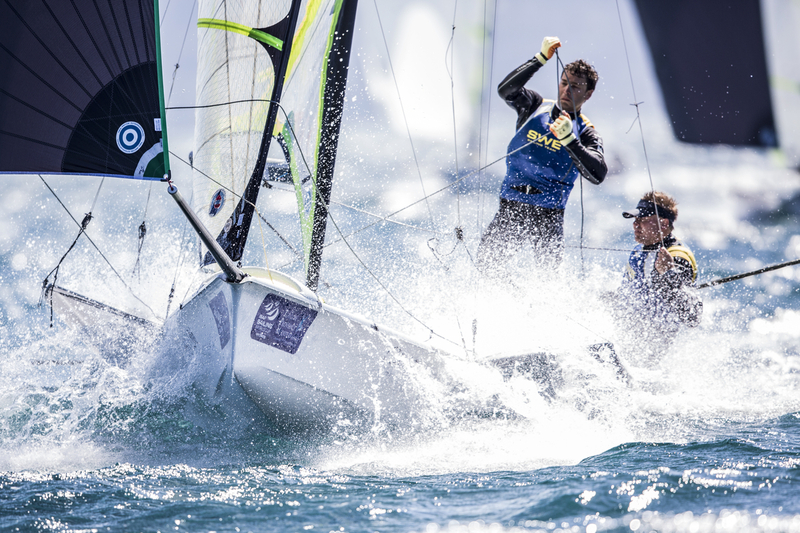 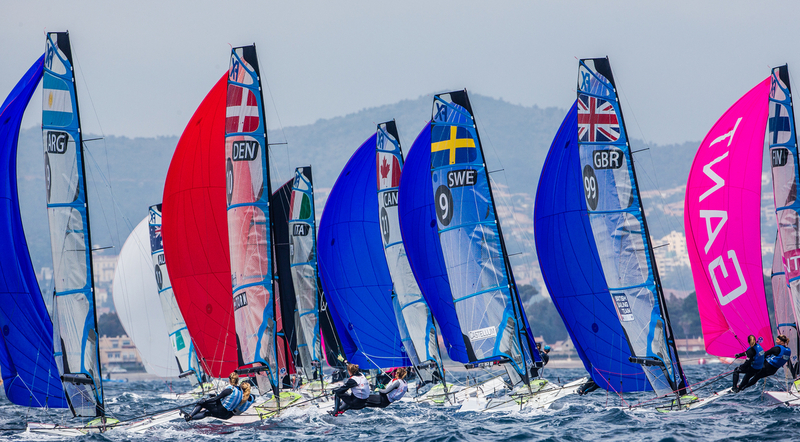 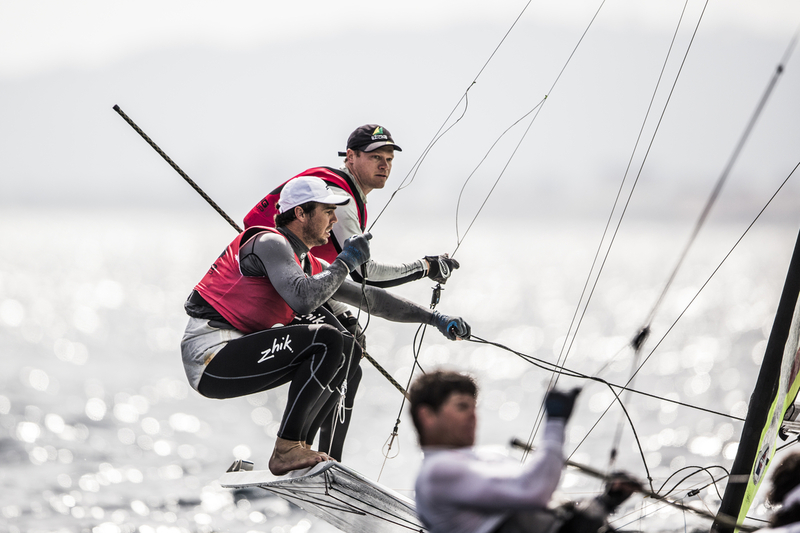 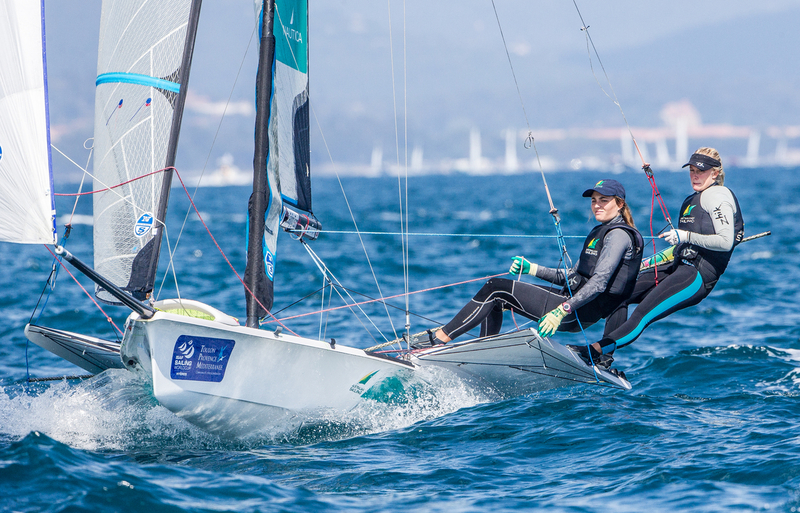 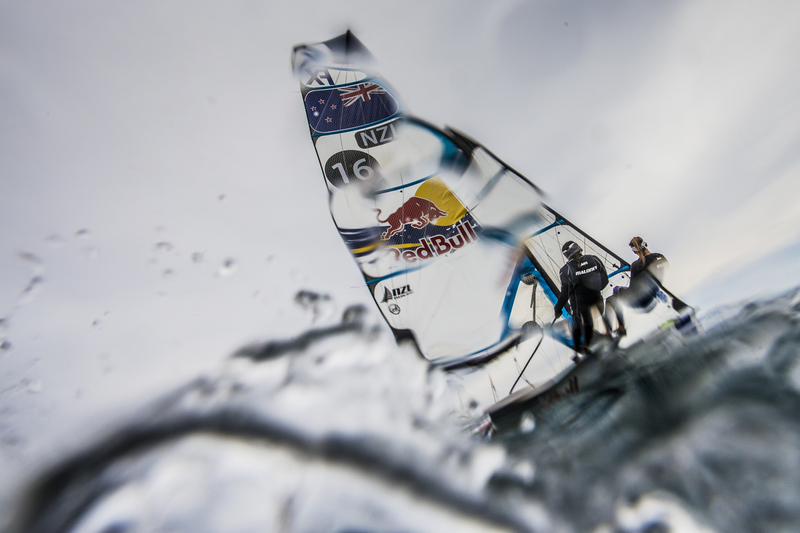 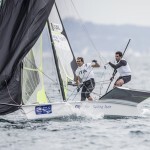 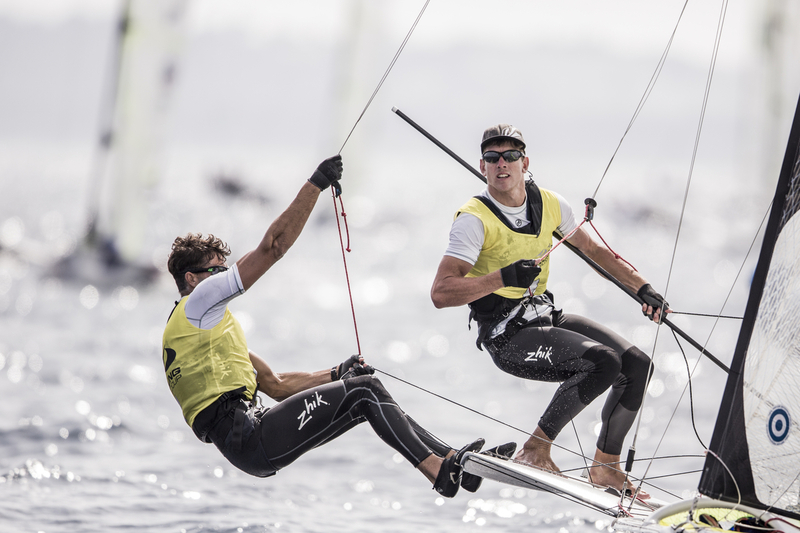 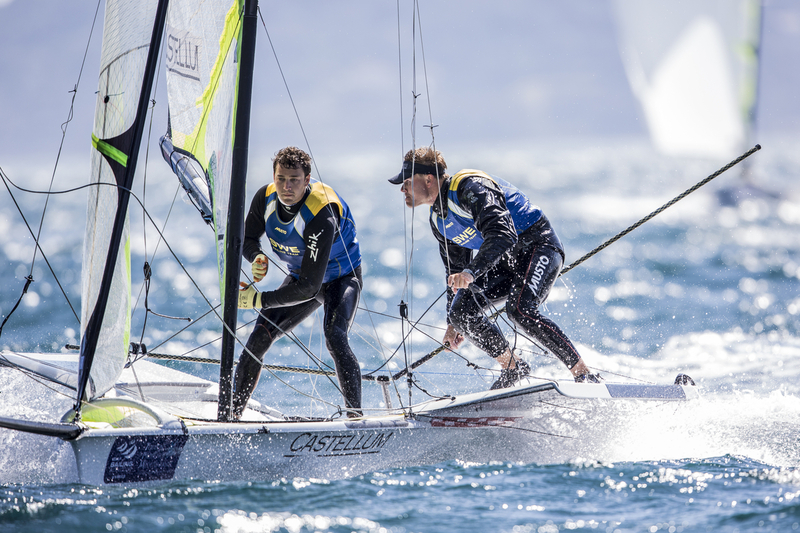 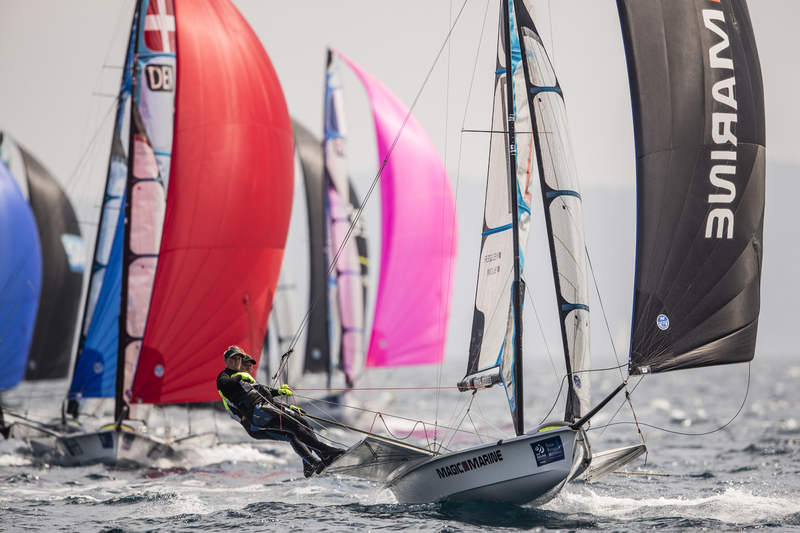 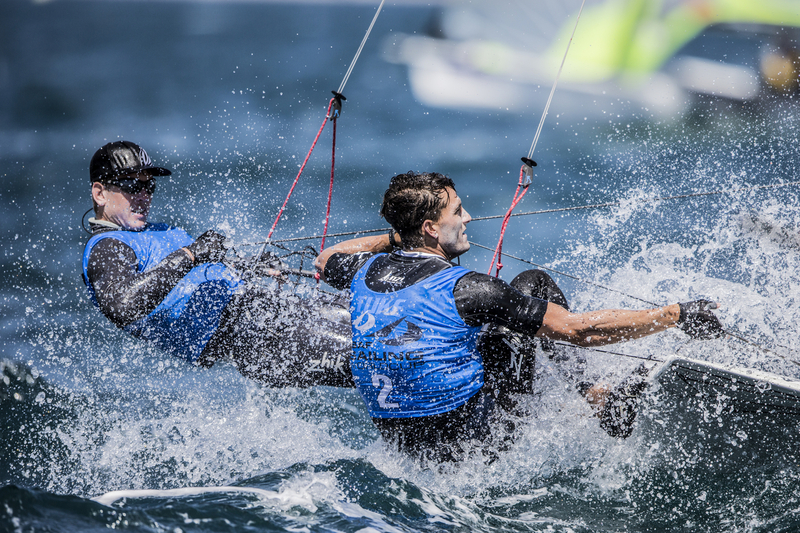 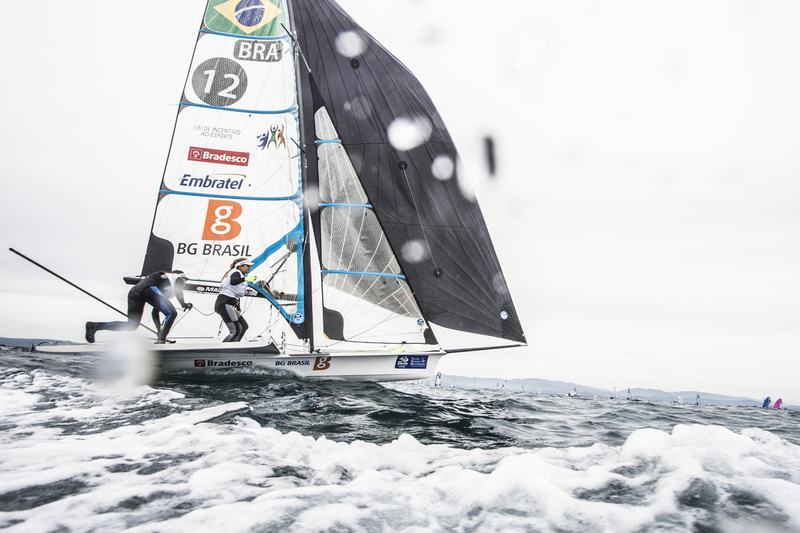 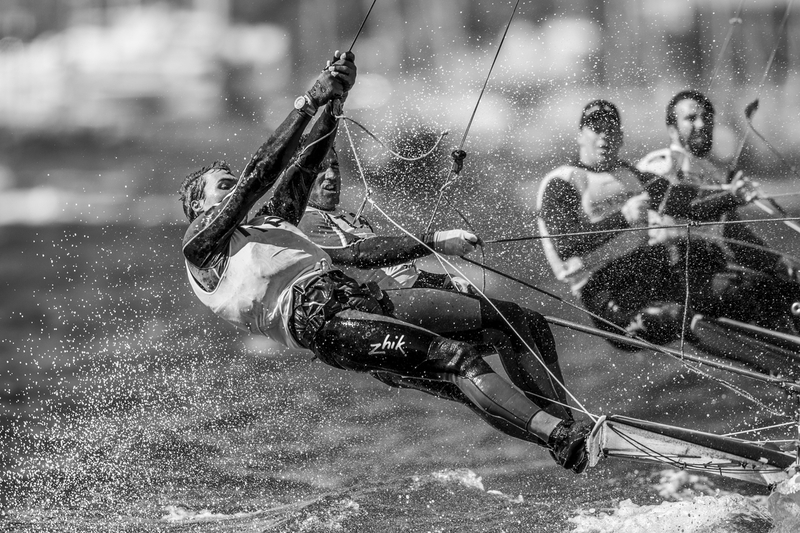 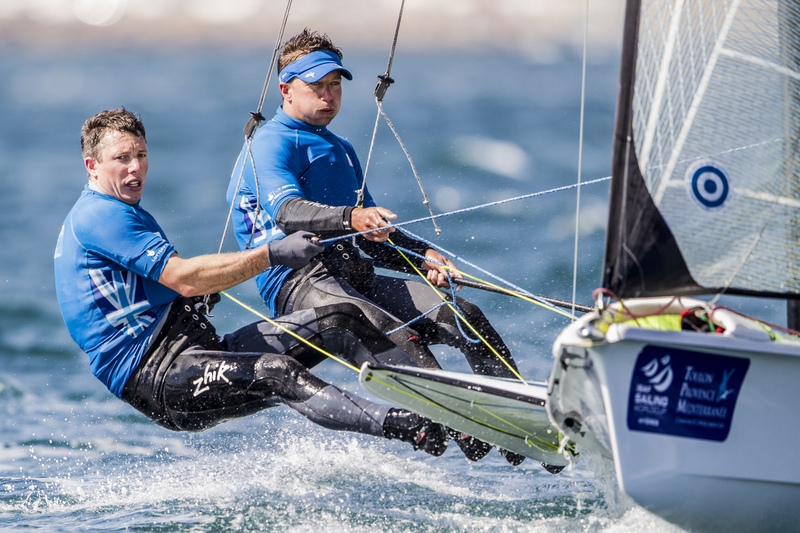 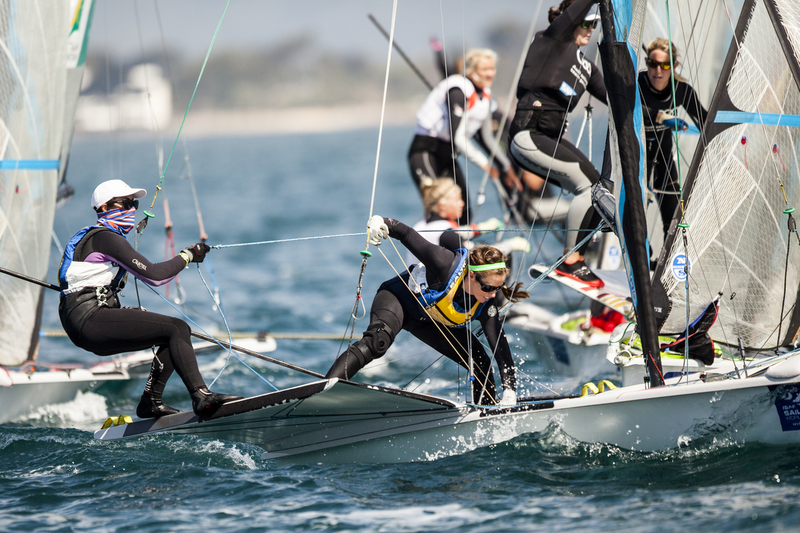 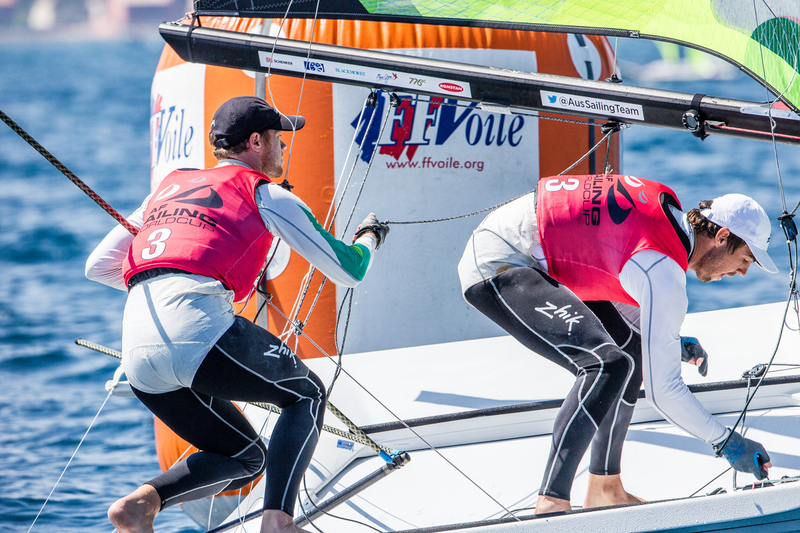 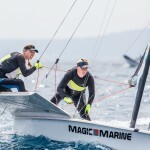 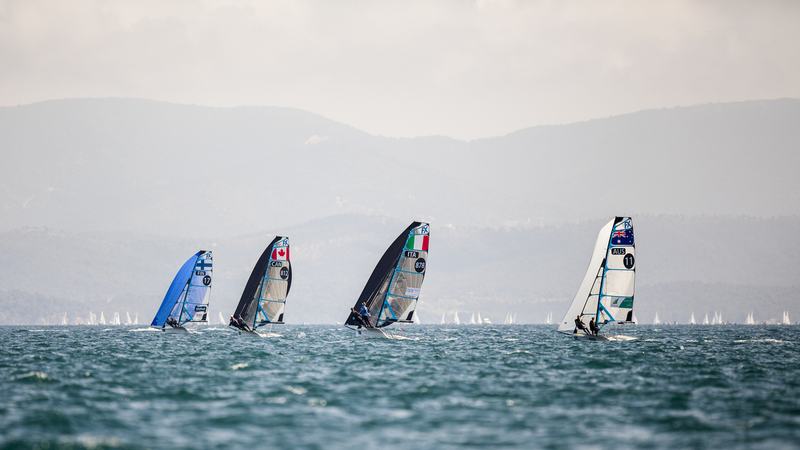 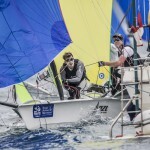 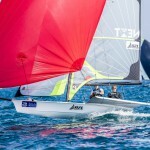 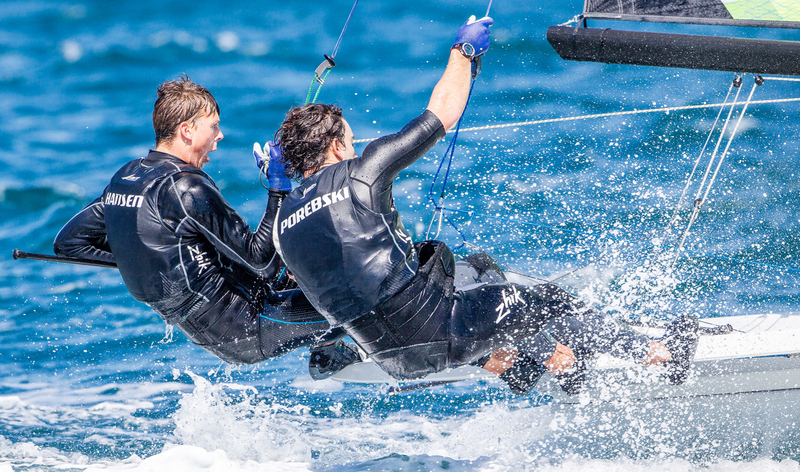 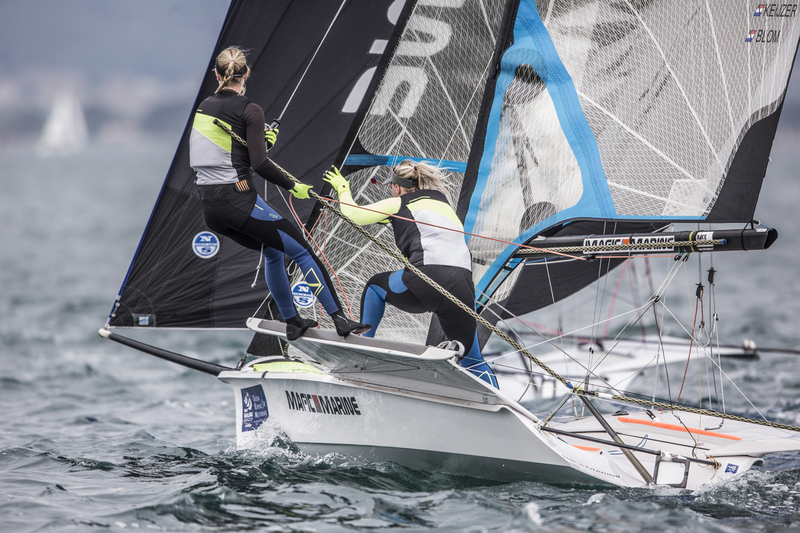 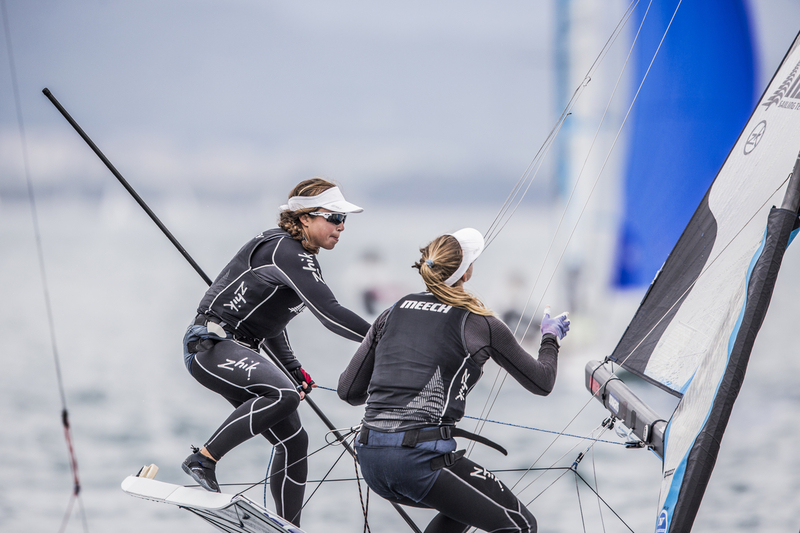 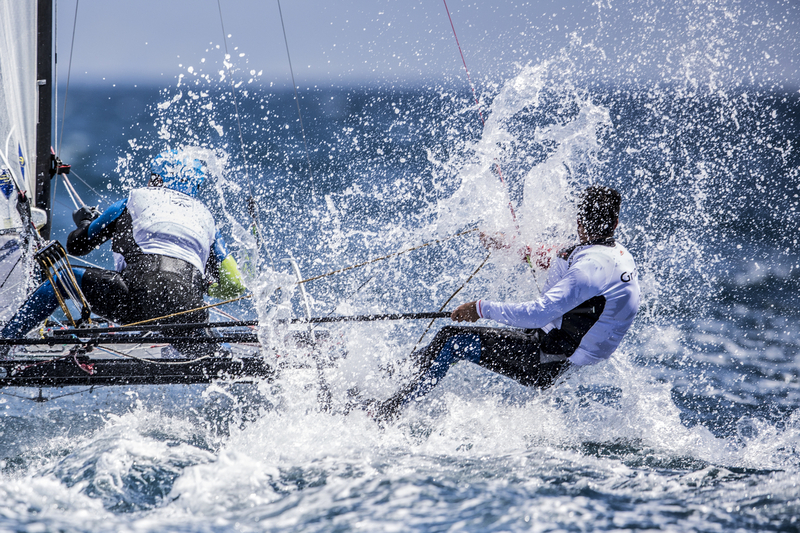 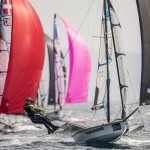 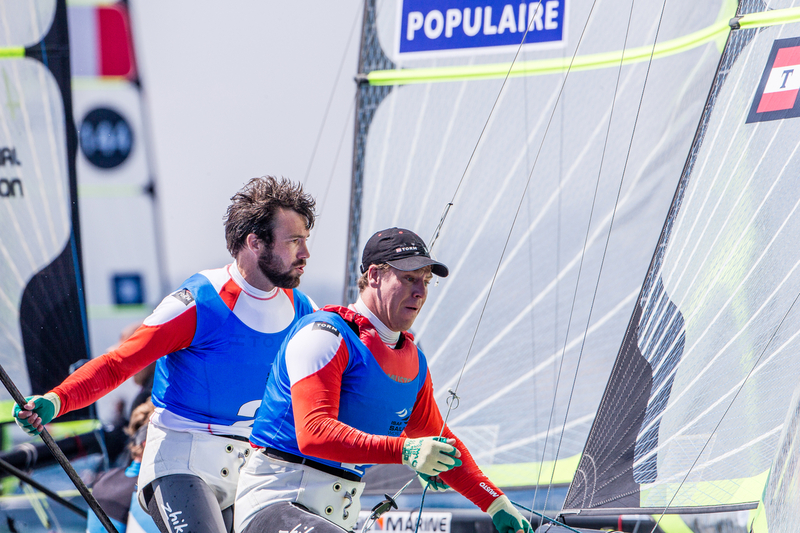 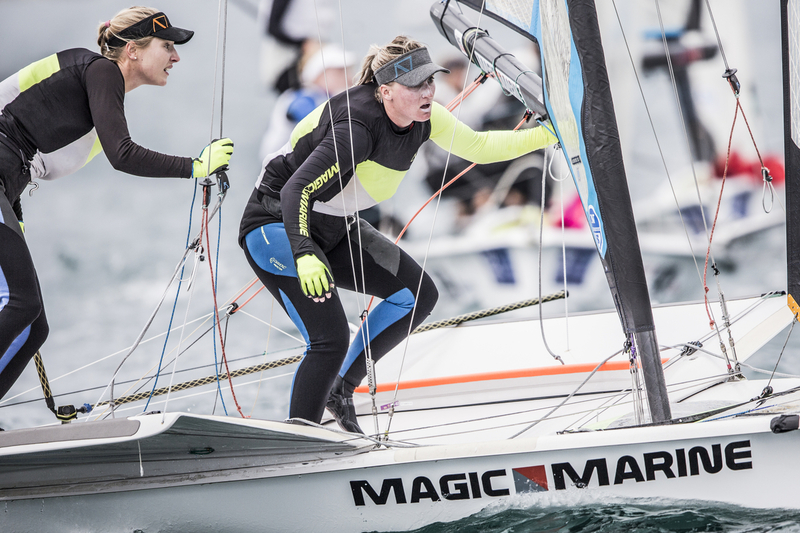 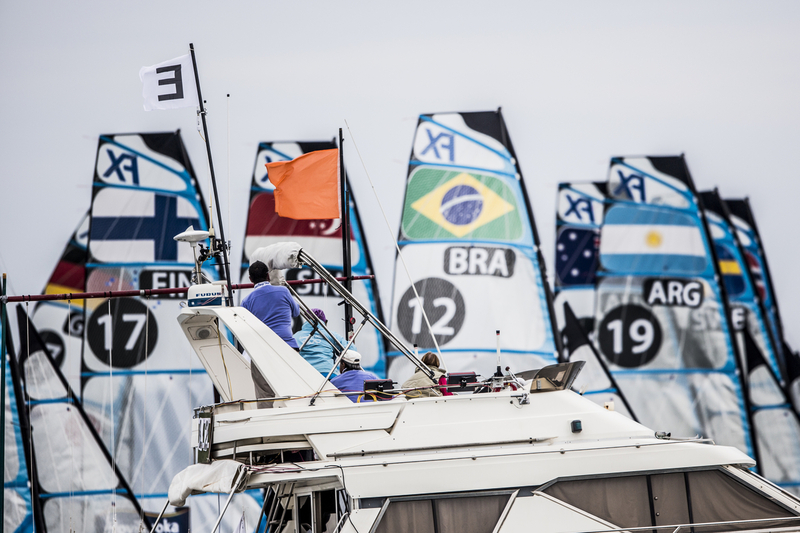 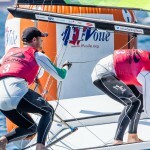 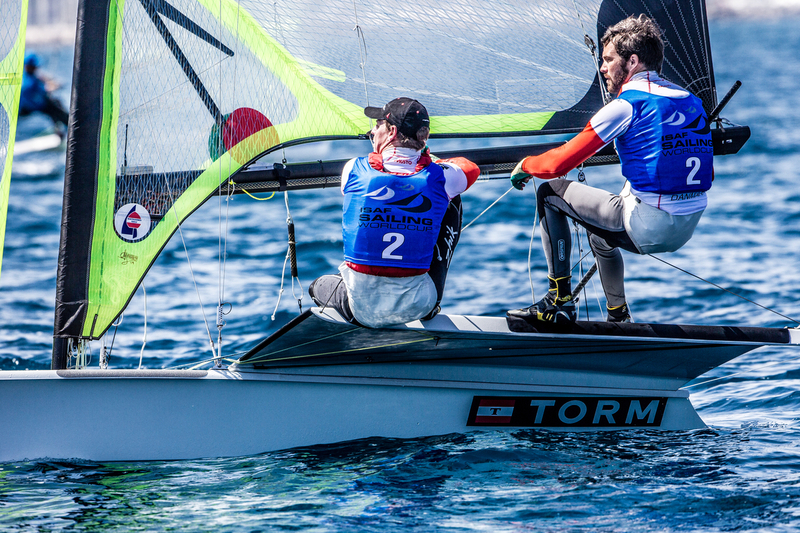 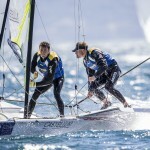 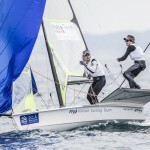 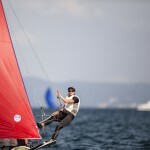 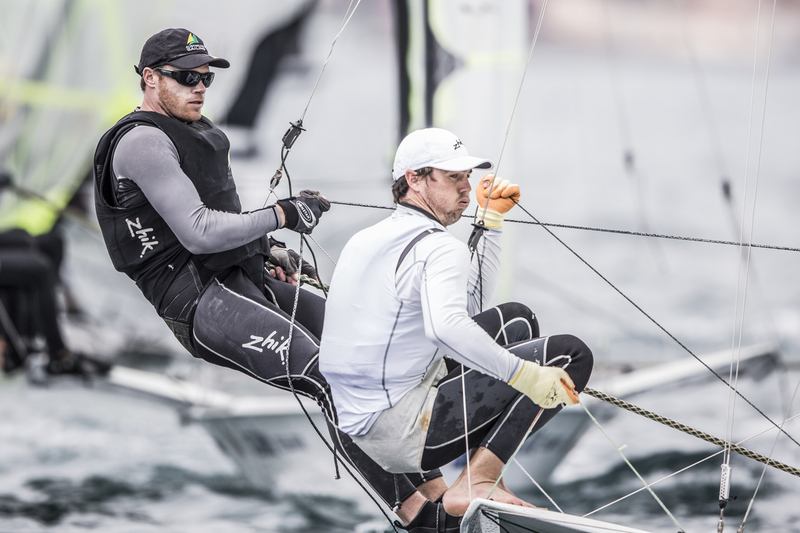 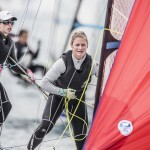 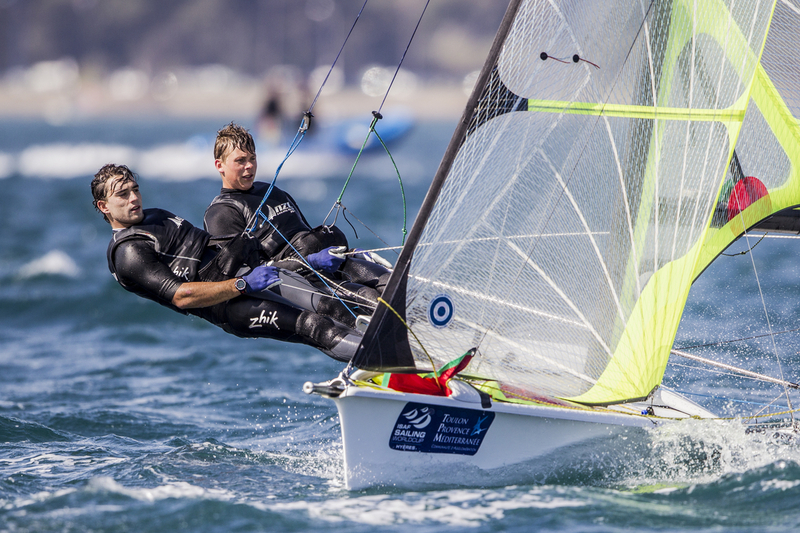 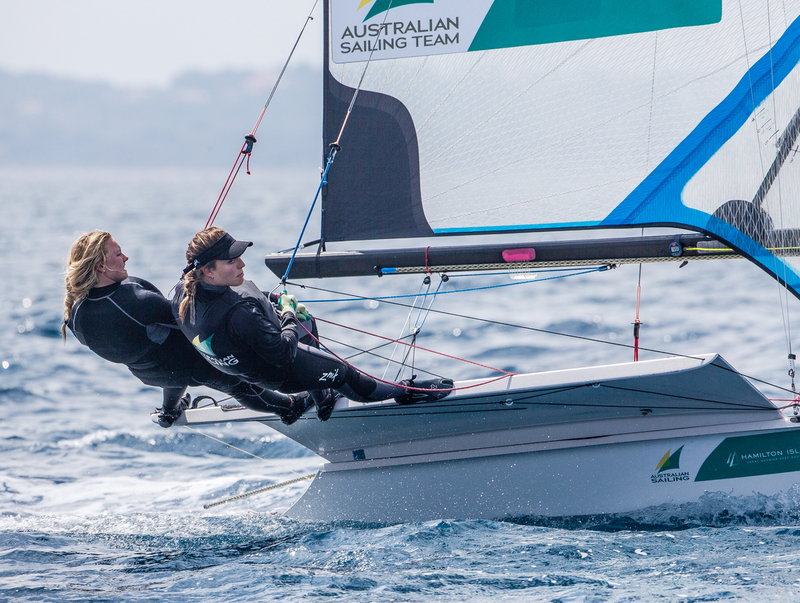 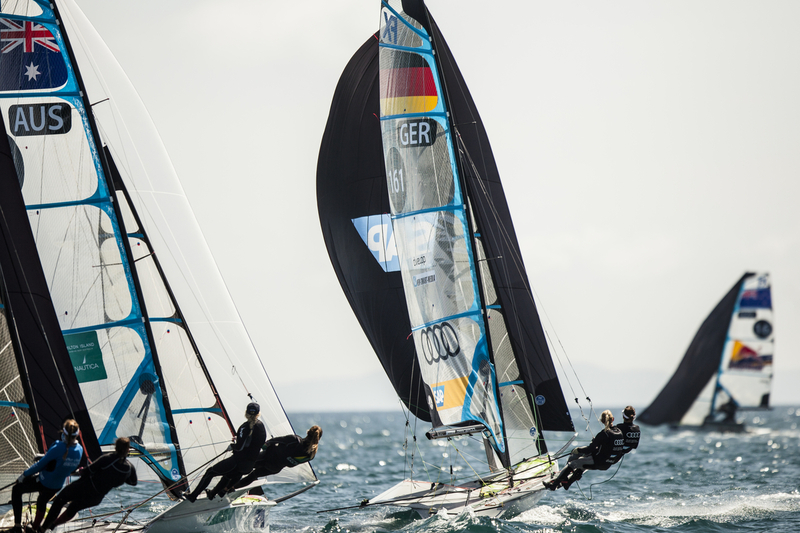 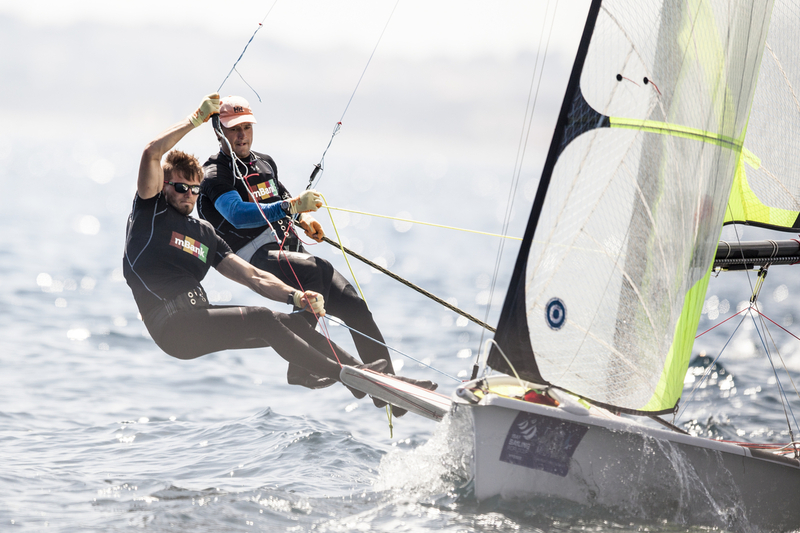 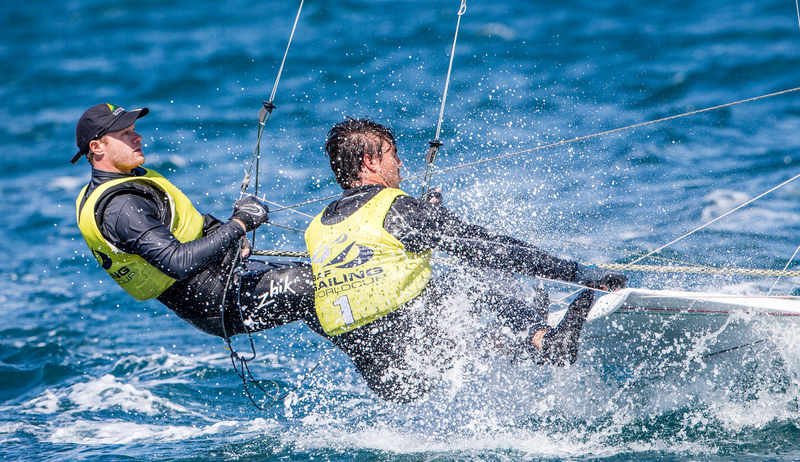 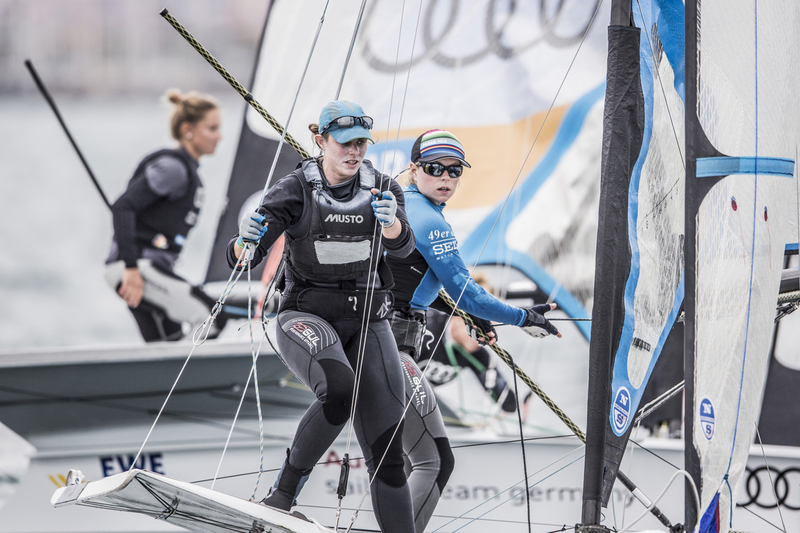 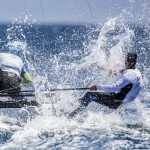 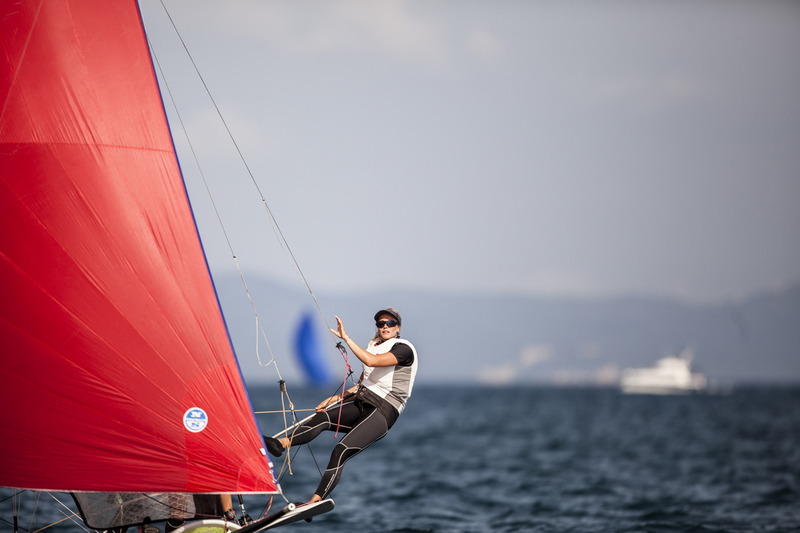 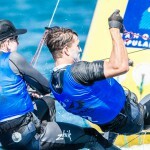 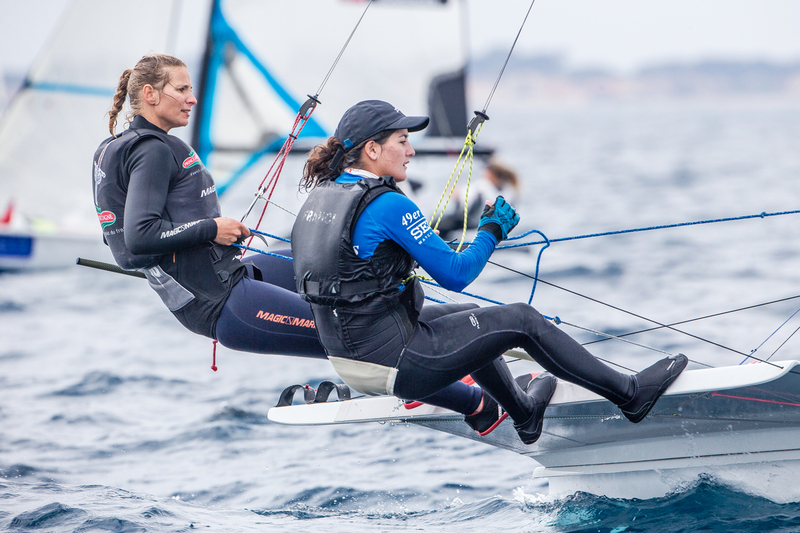 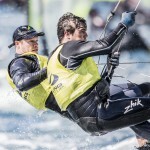 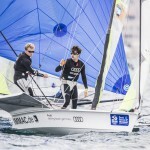 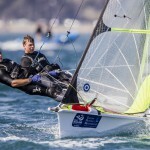 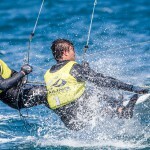 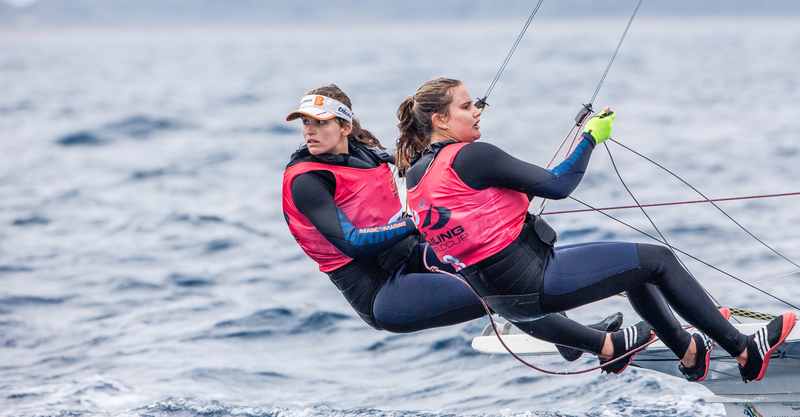 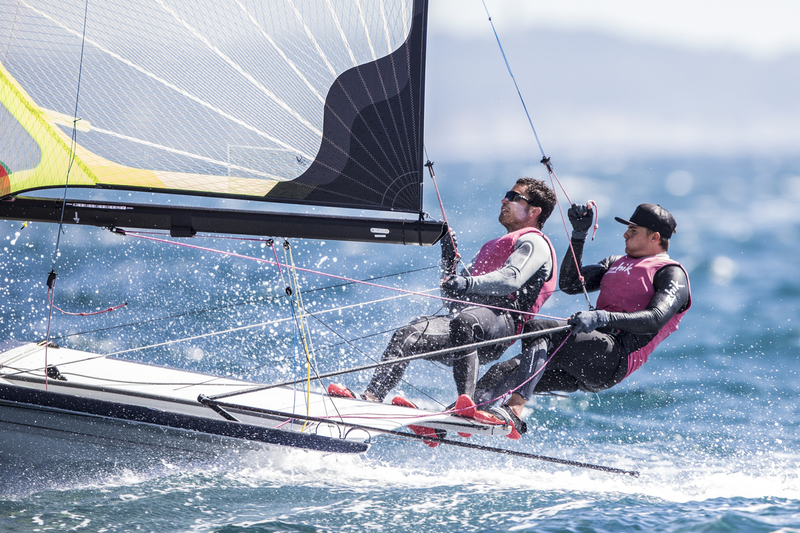 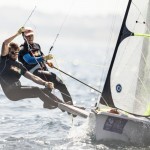 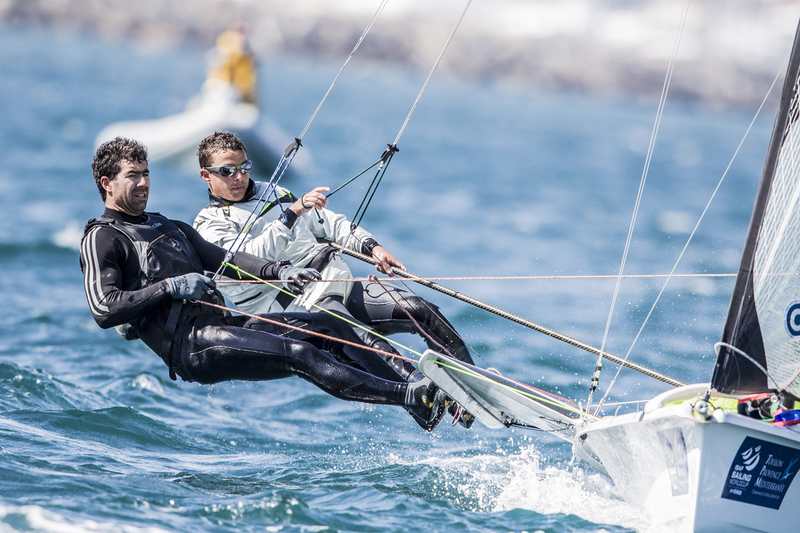 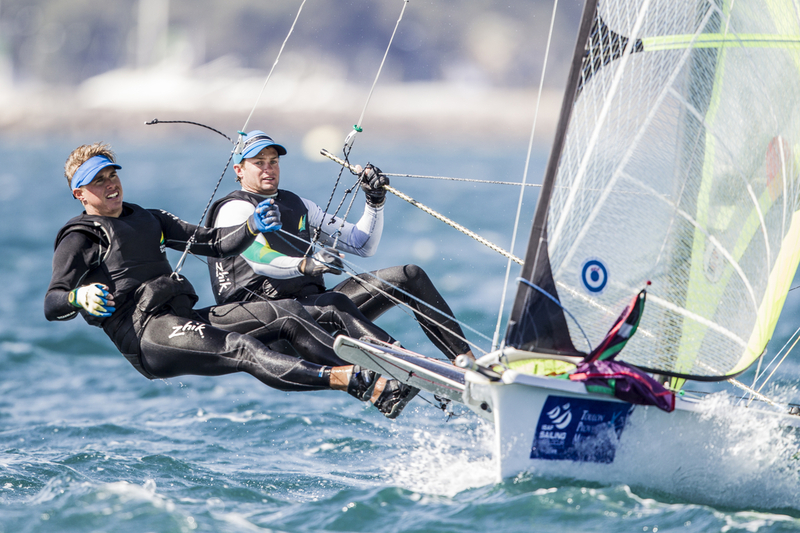 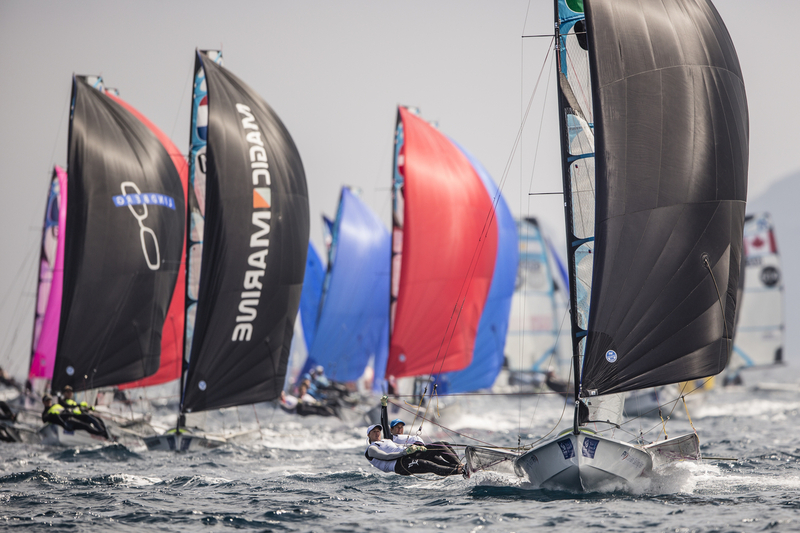 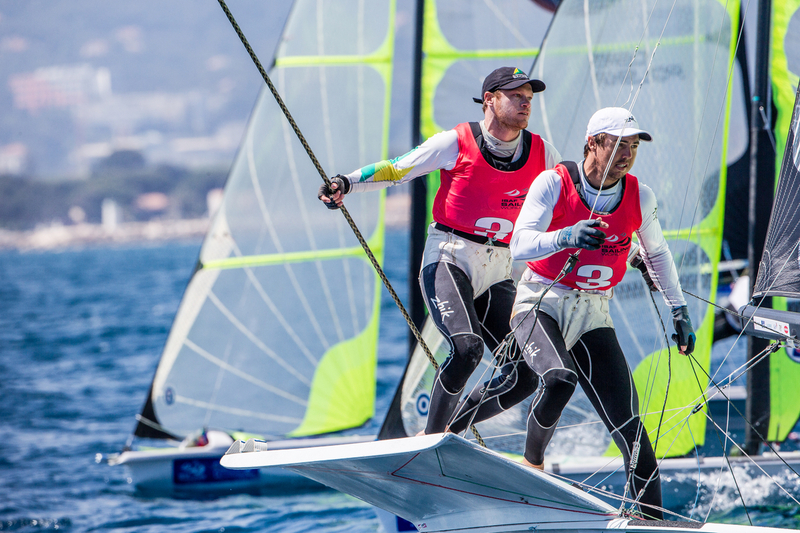 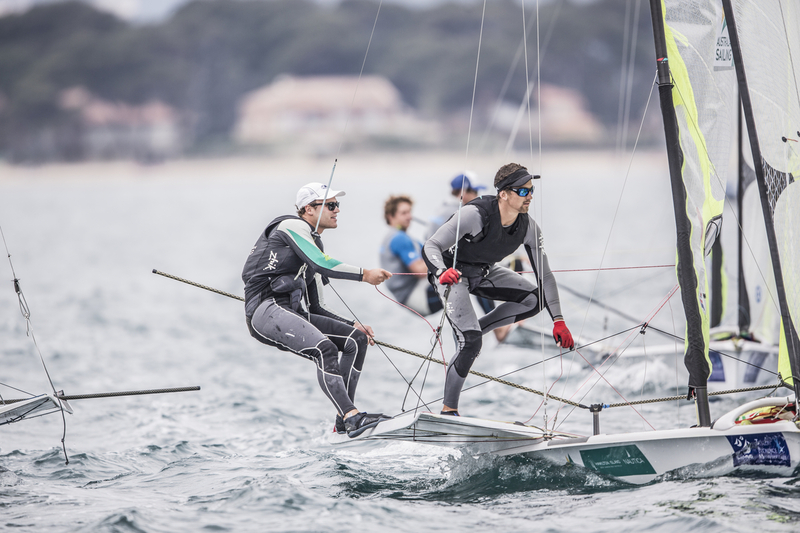 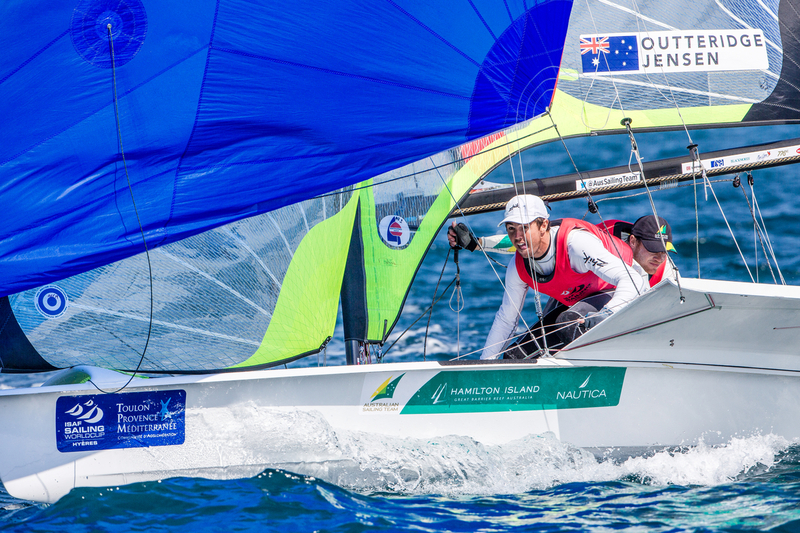 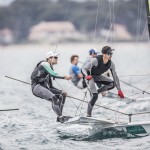 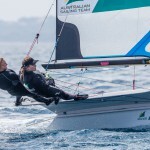 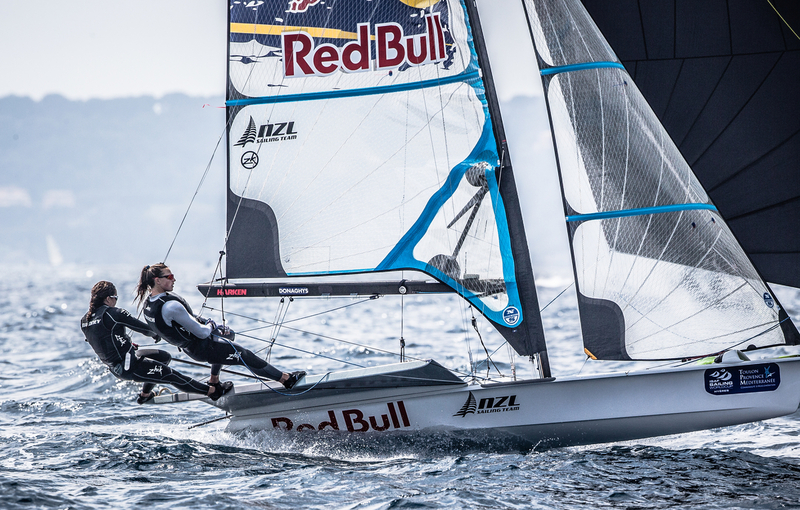 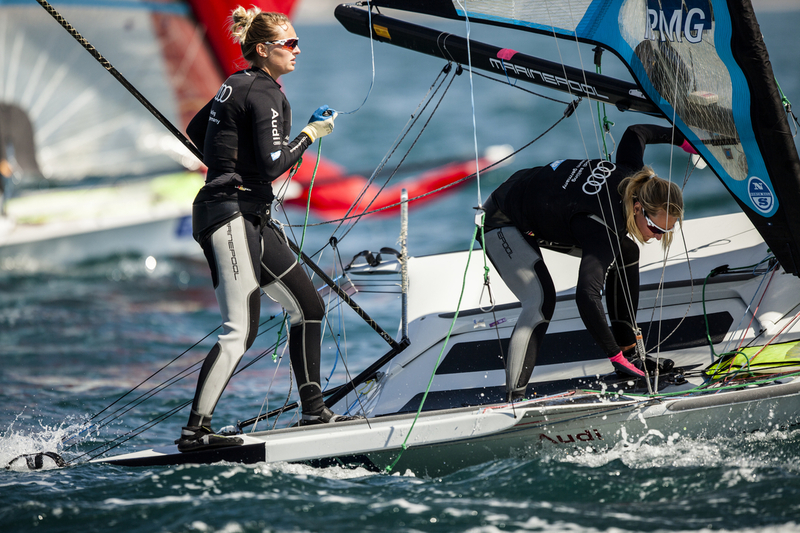 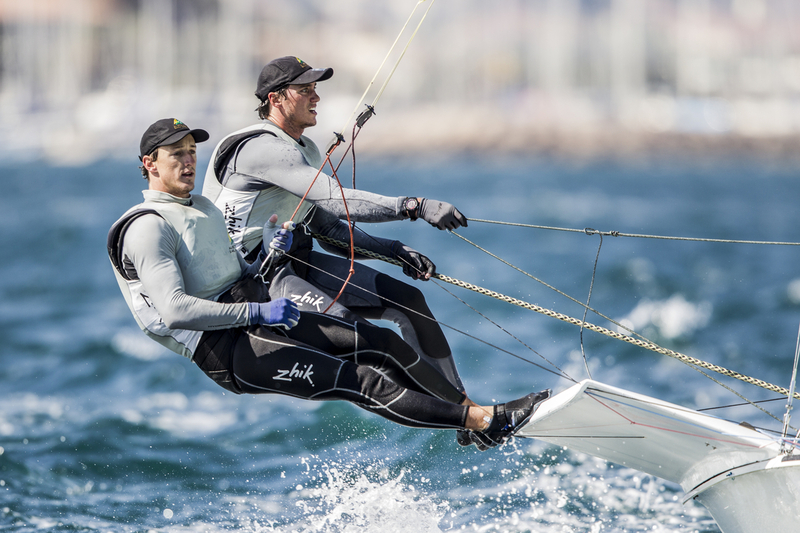 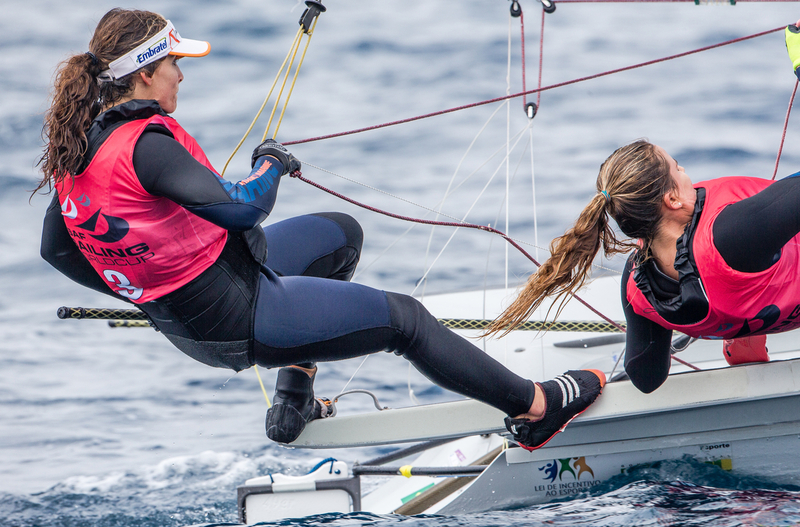 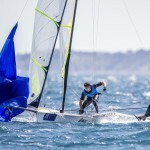 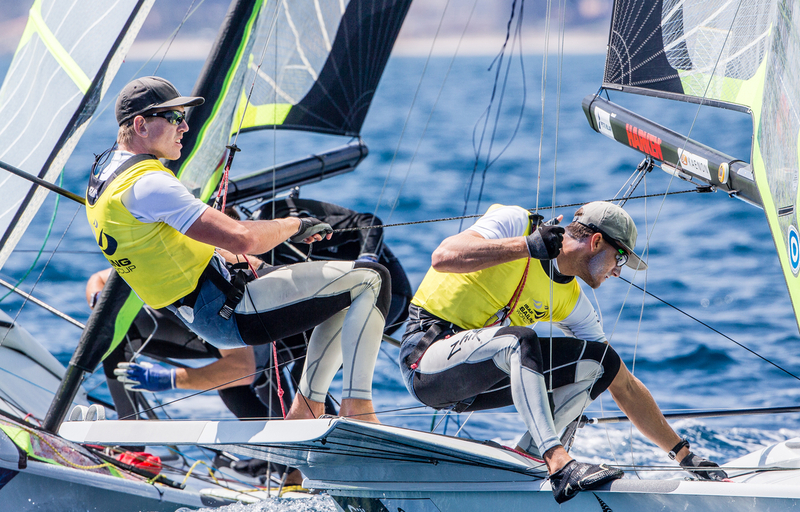 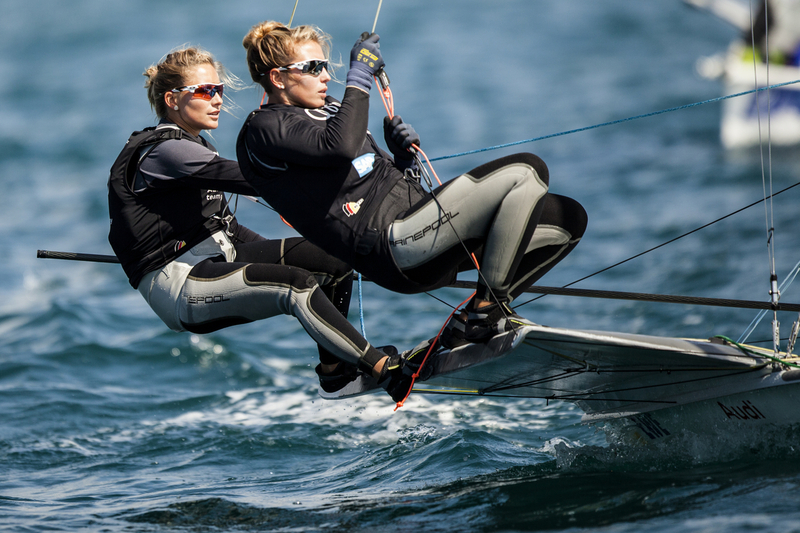 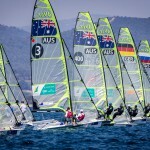 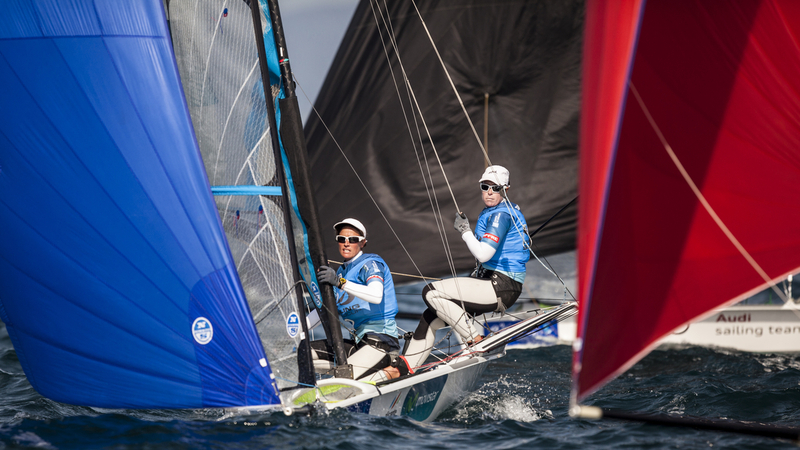 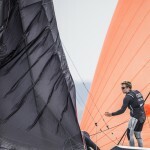 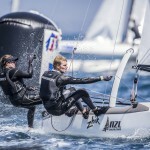 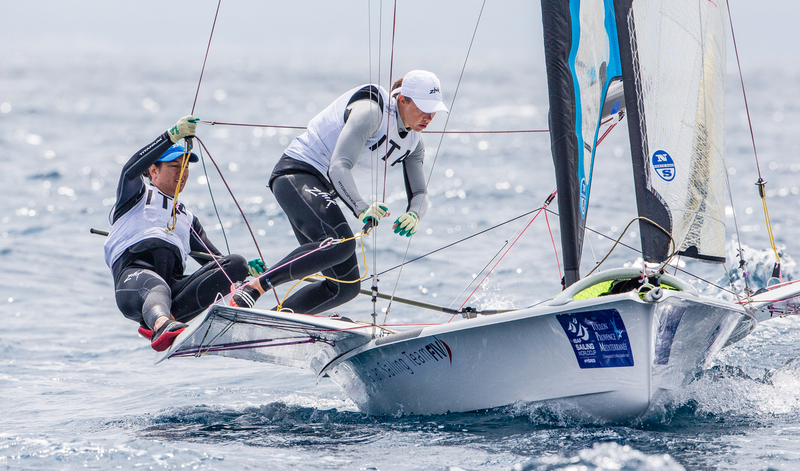 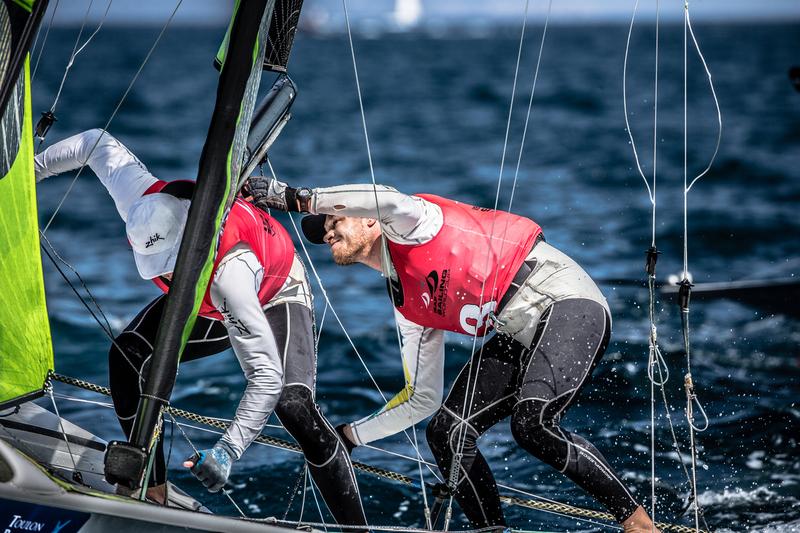 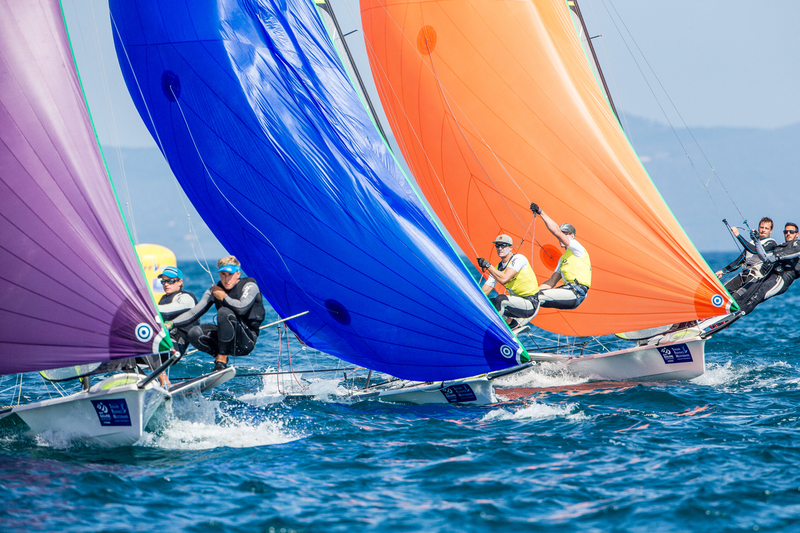 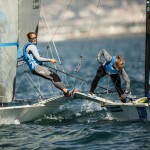 In addition, the top 15 49er and the top 17 49erFX will be offered spaces in the 2015 Weymouth World Cup, which is the next regatta in the circuit.